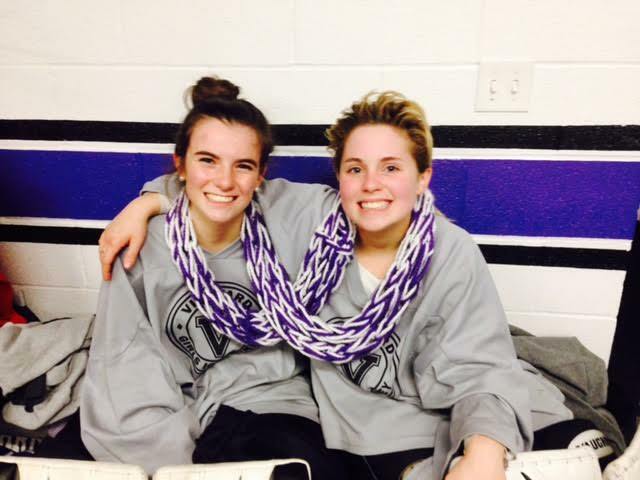 Honoring the two Falmouth hockey players before the home game with Nauset. 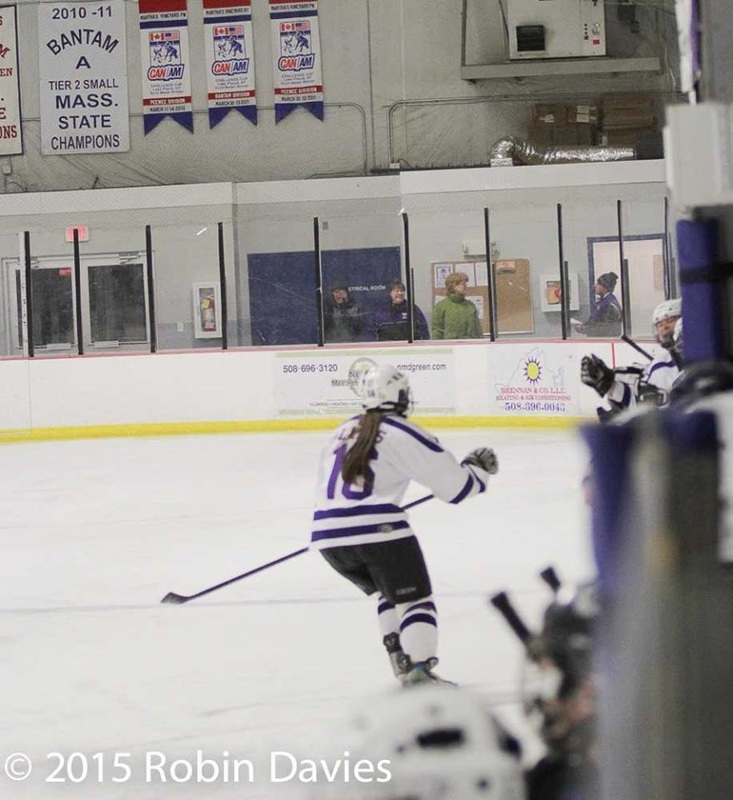 Natalija Lakis scores her first varsity goal against Nauset. 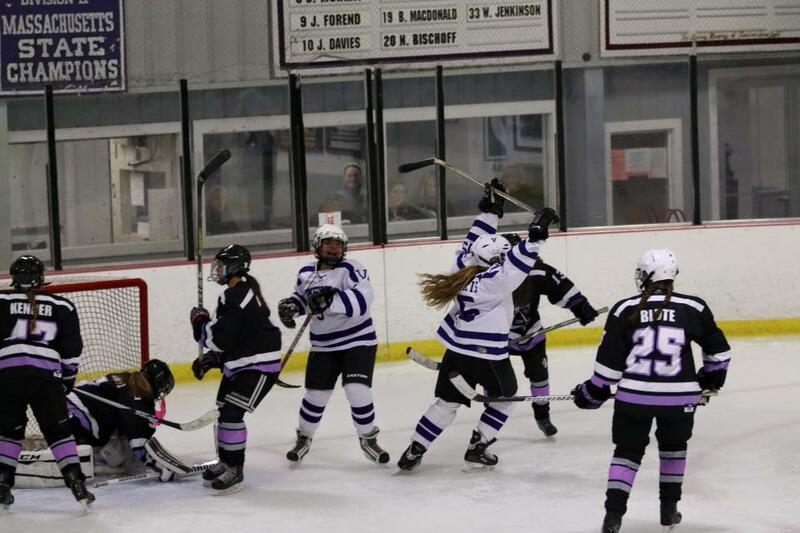 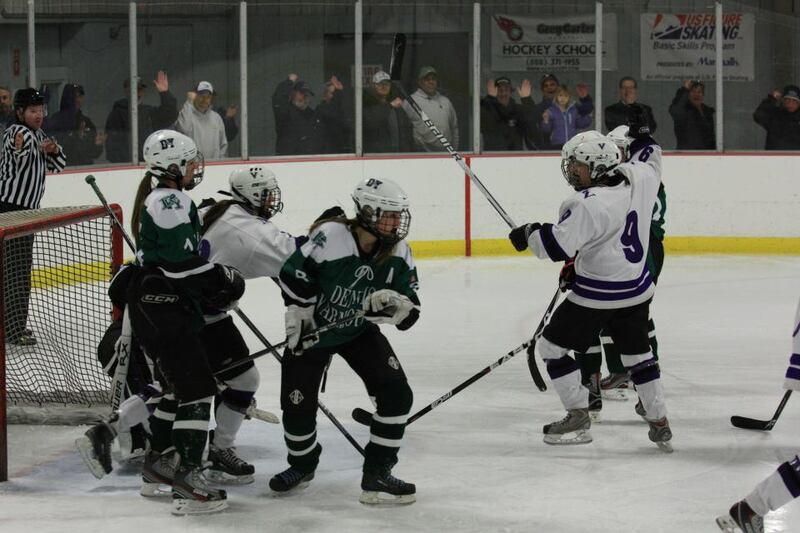 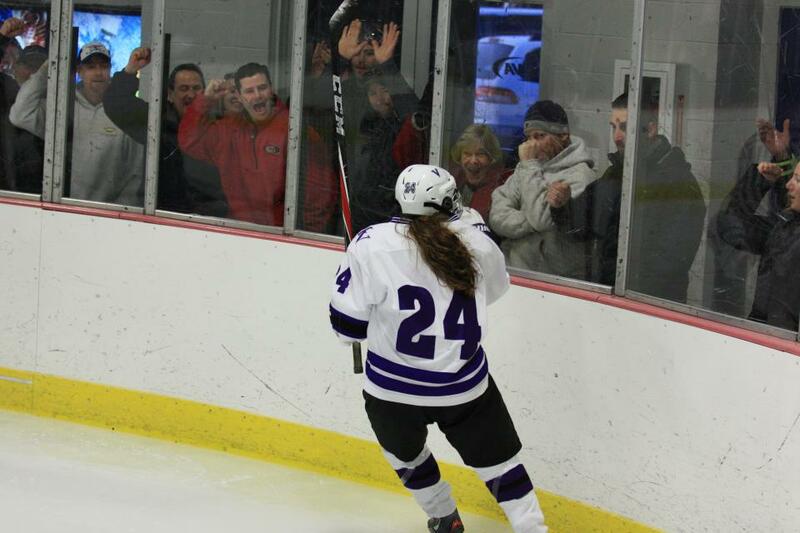 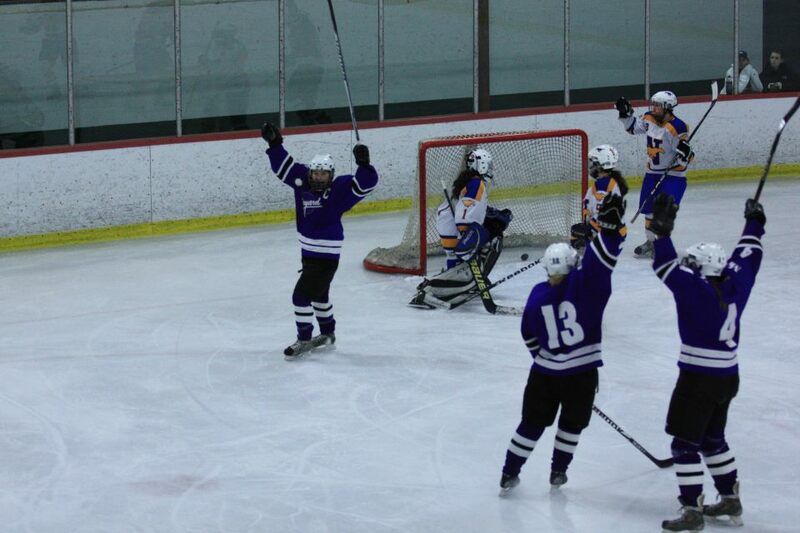 Kylie celebrates her power play goal. 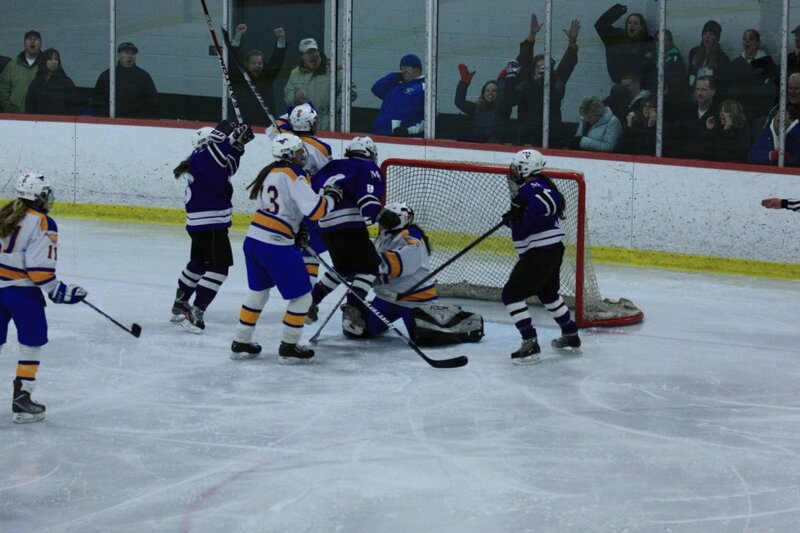 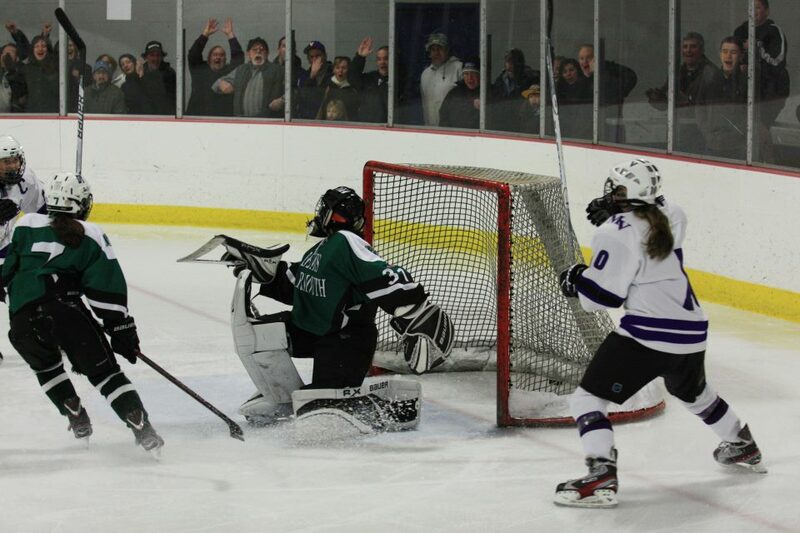 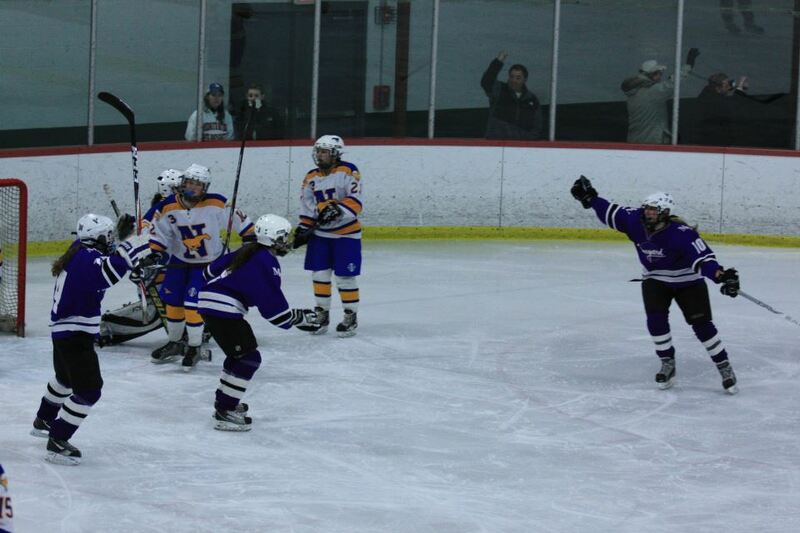 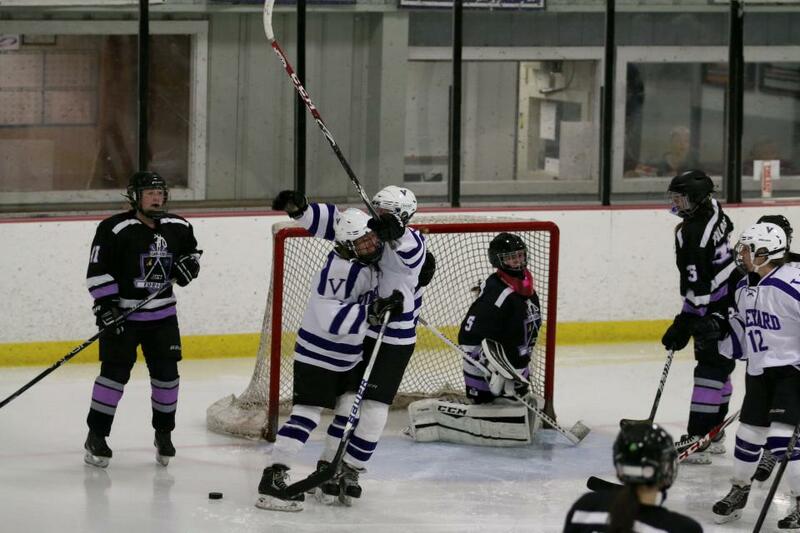 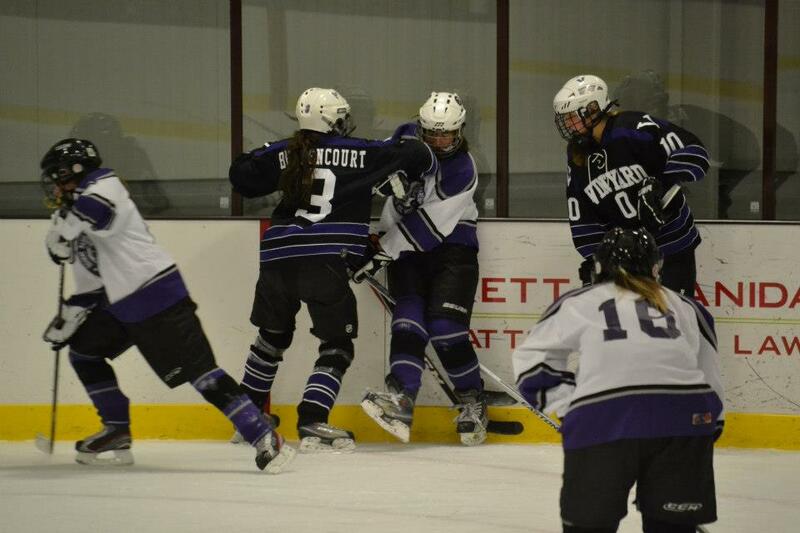 Meg Burke & Julia Levesque react after scoring the game winner. 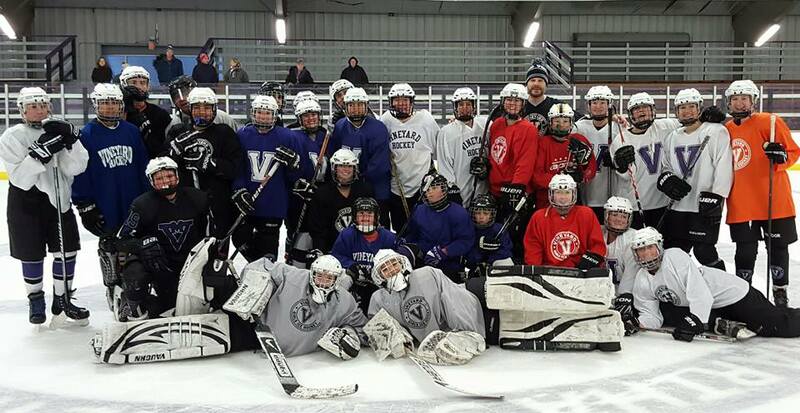 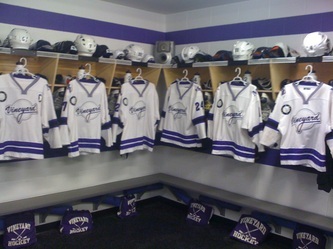 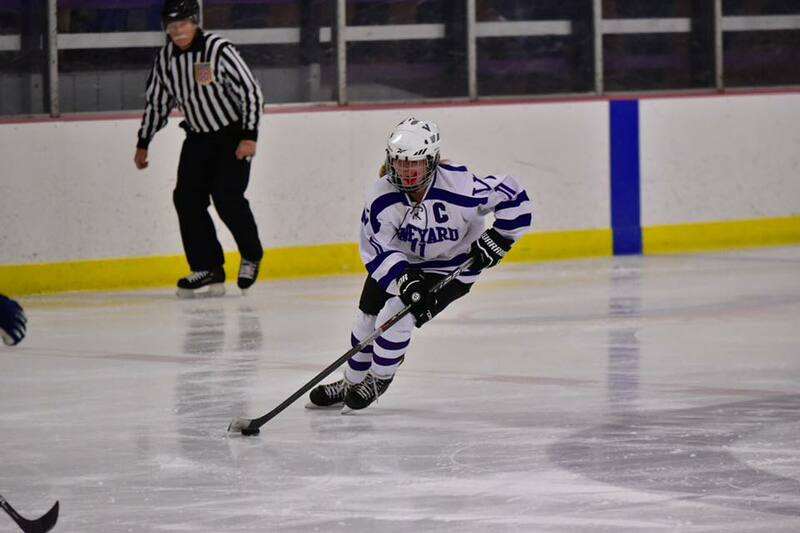 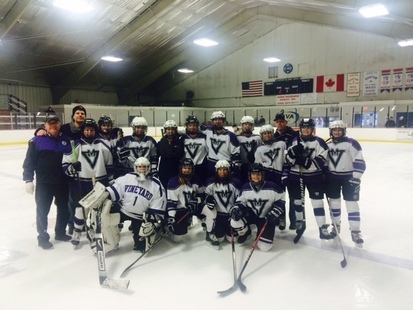 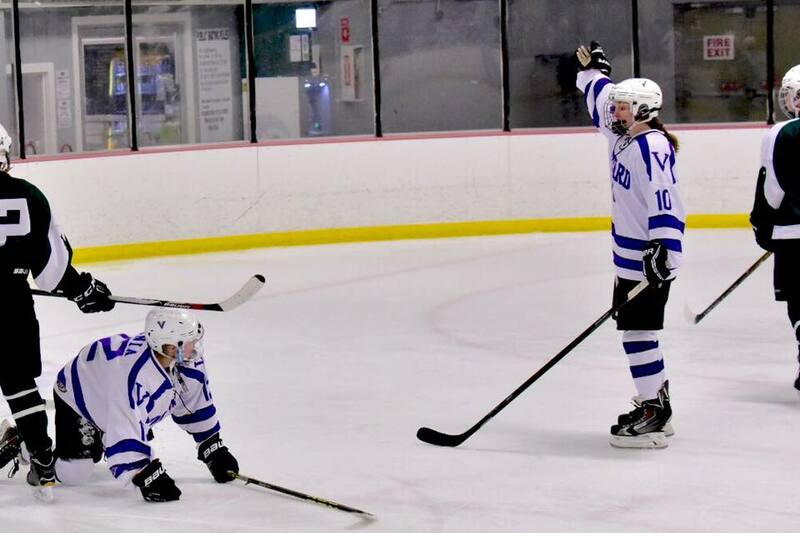 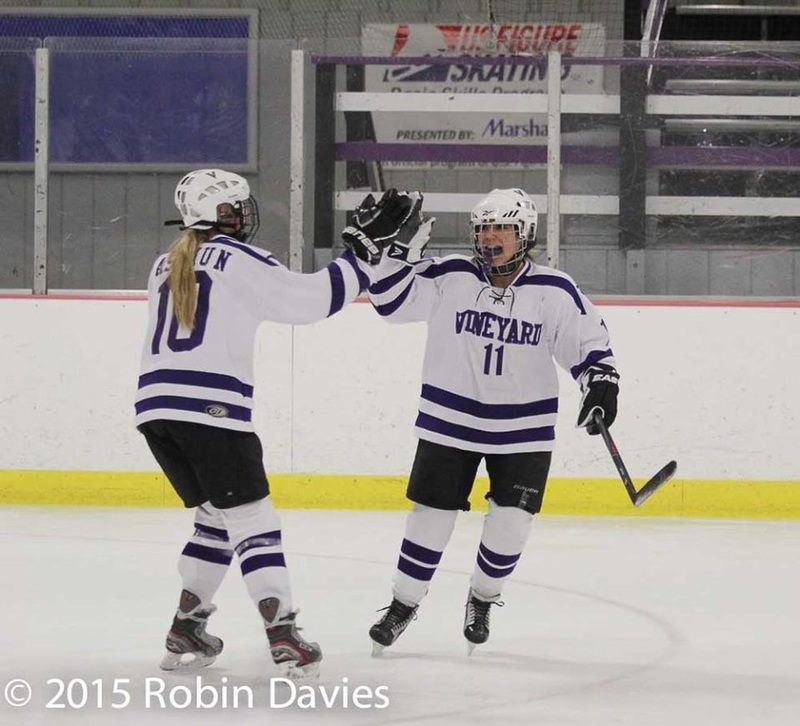 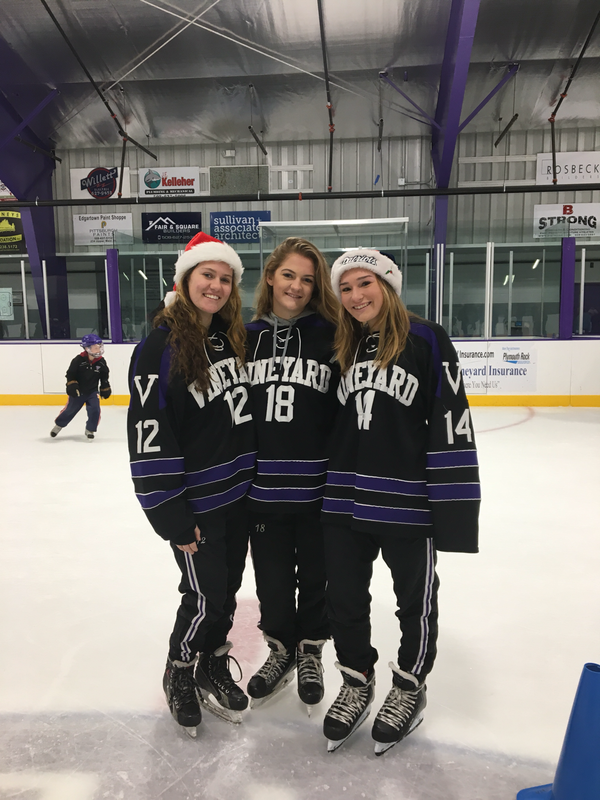 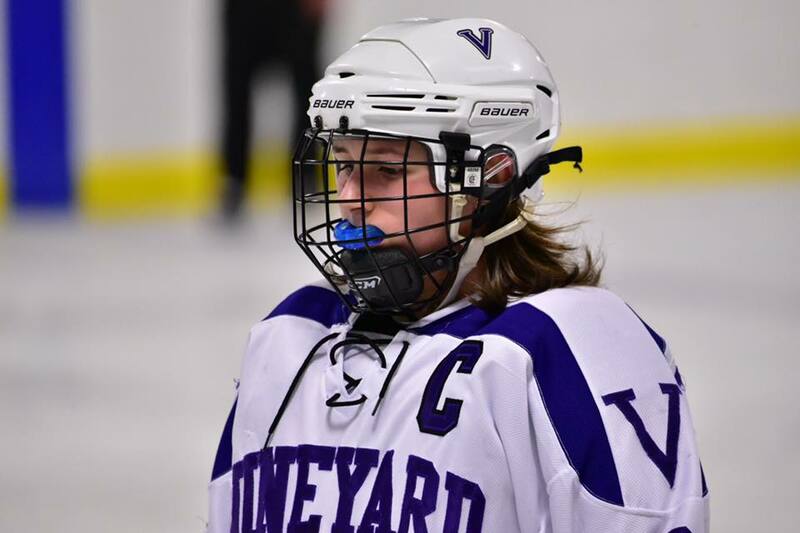 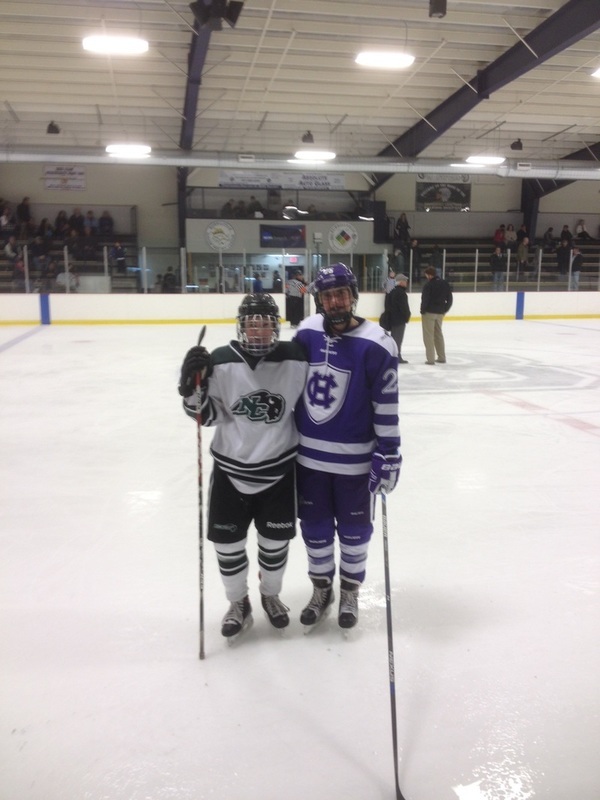 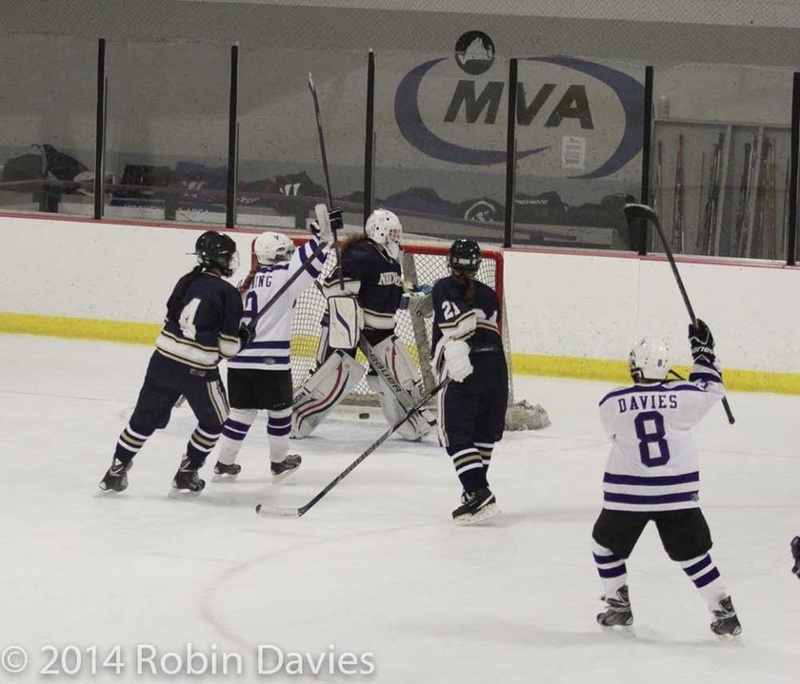 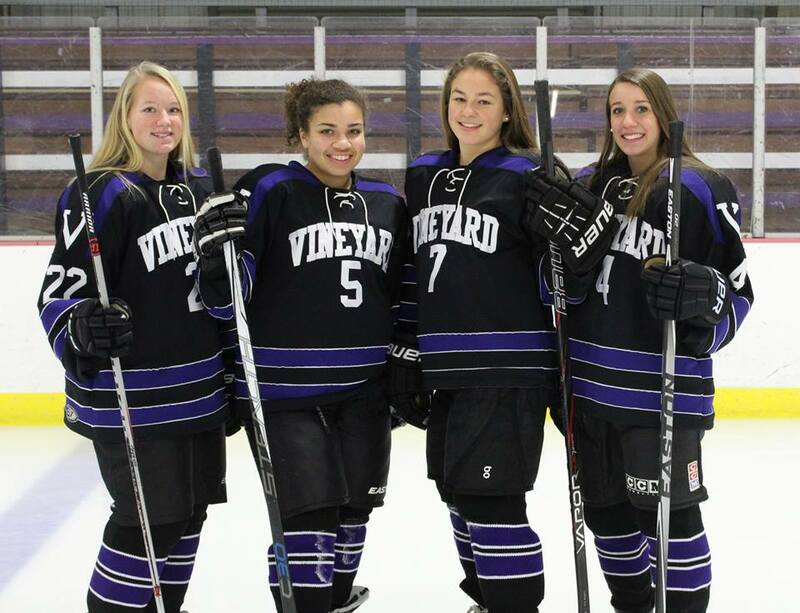 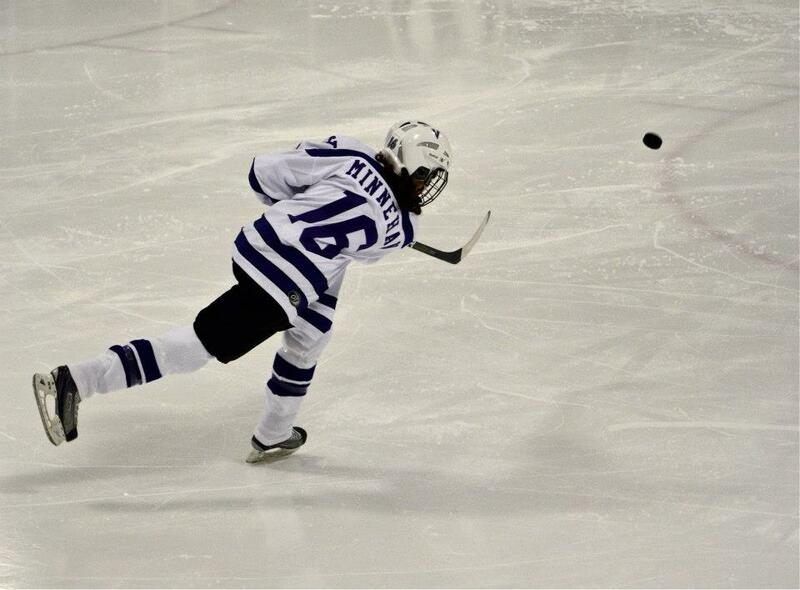 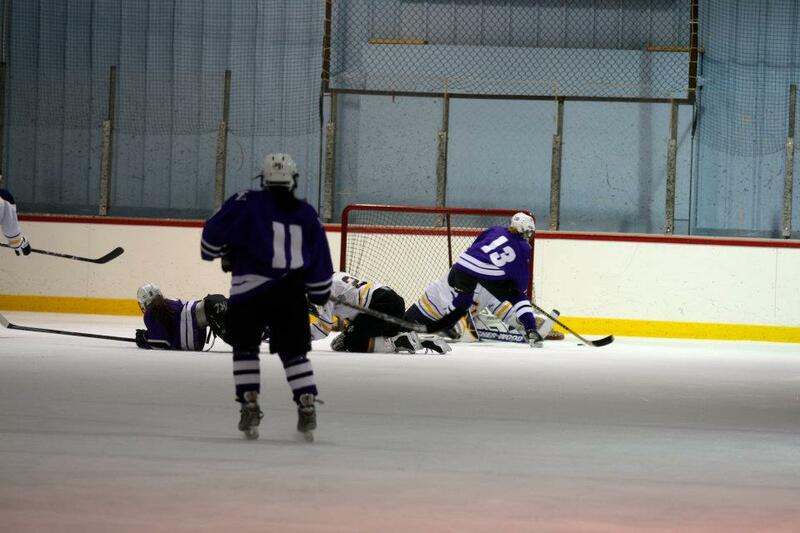 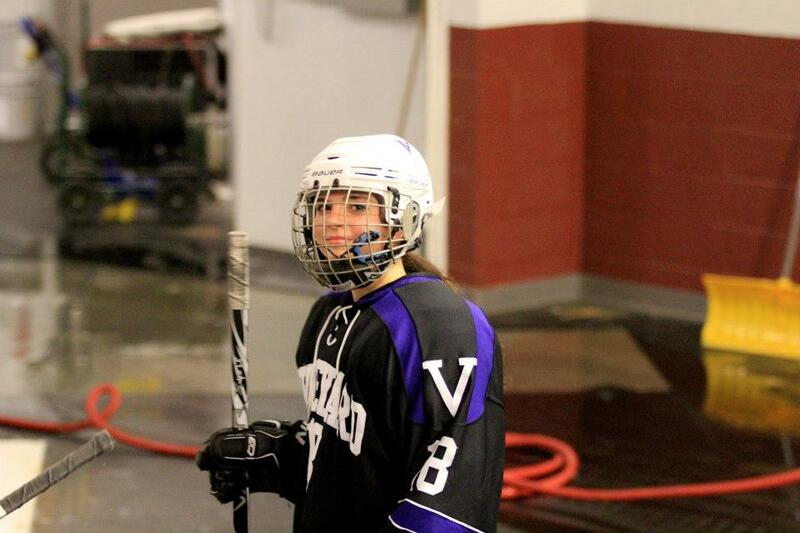 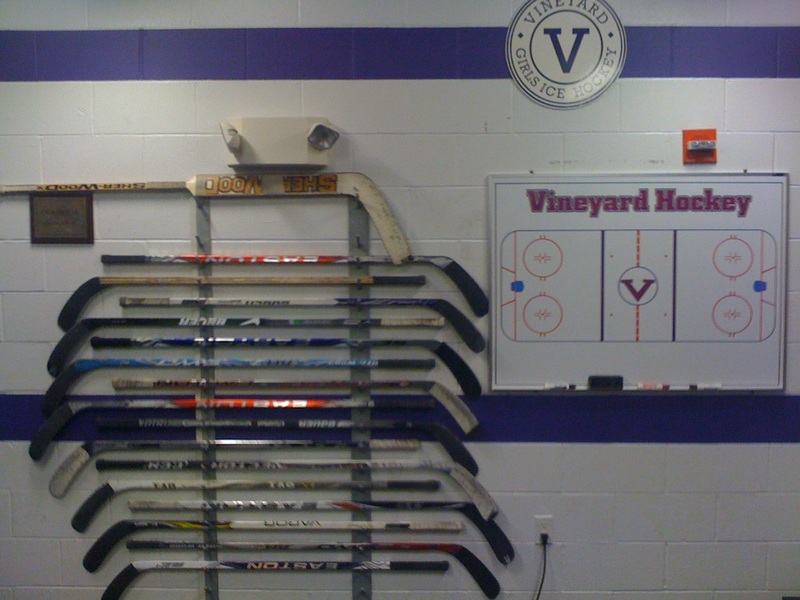 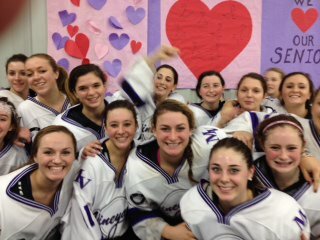 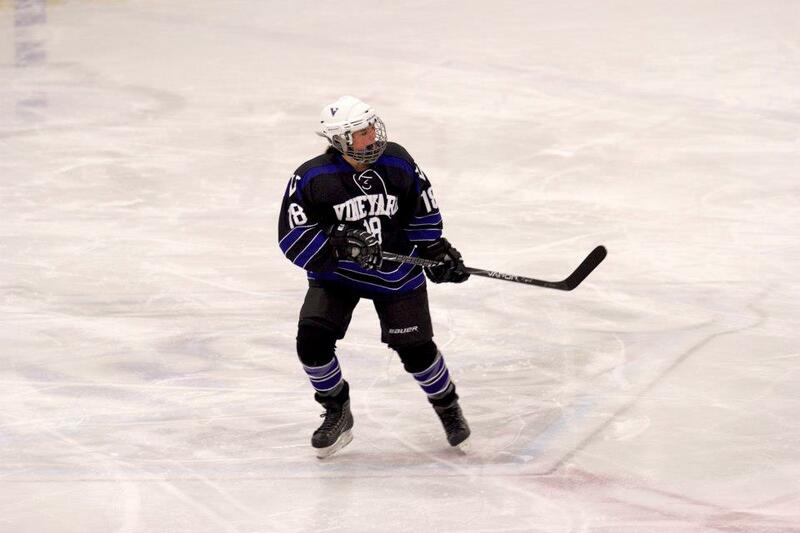 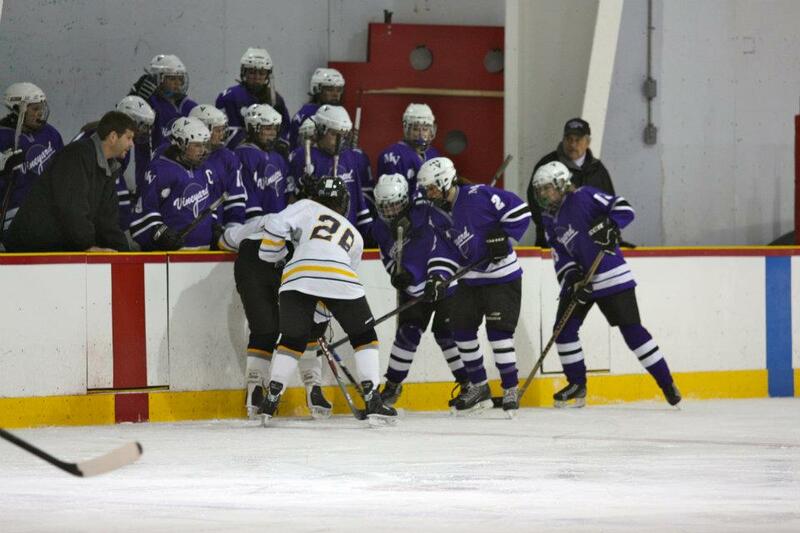 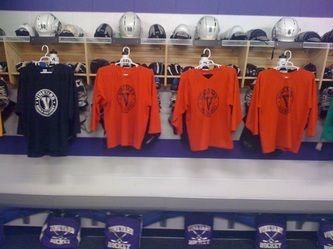 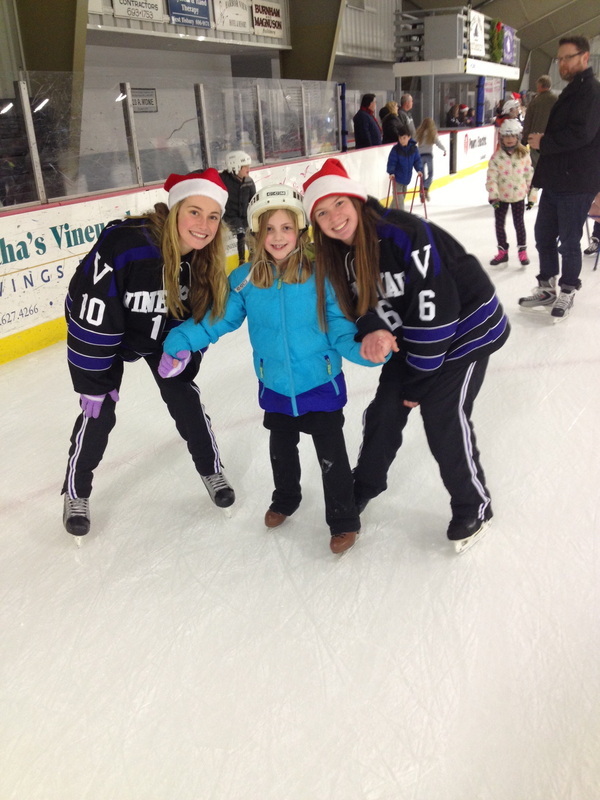 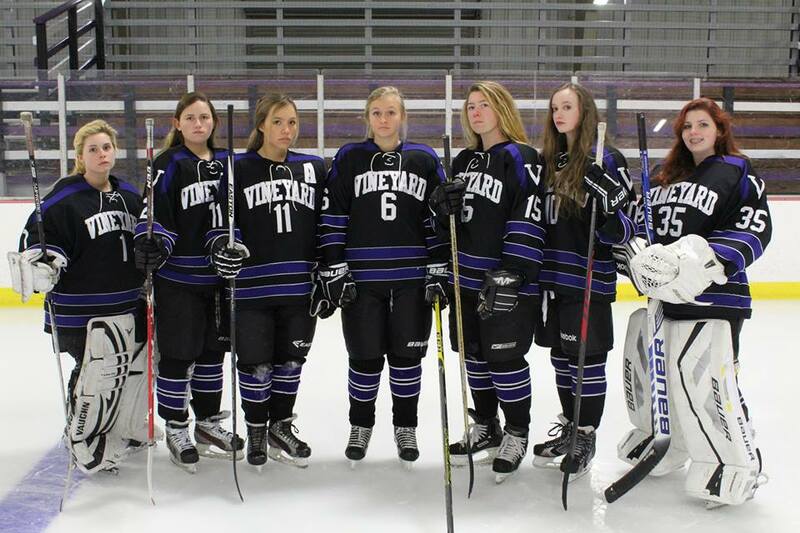 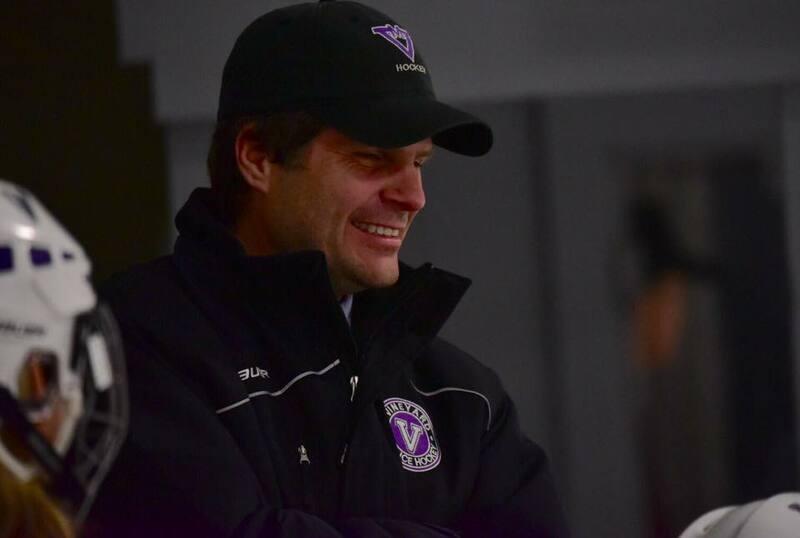 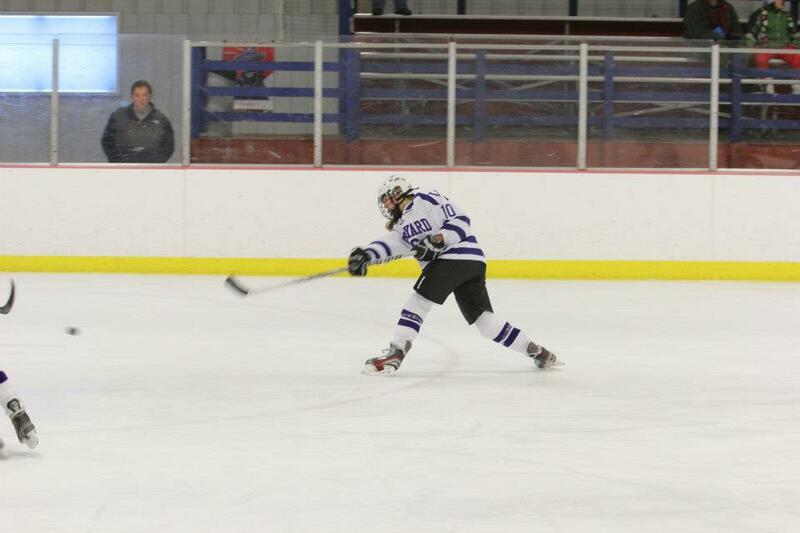 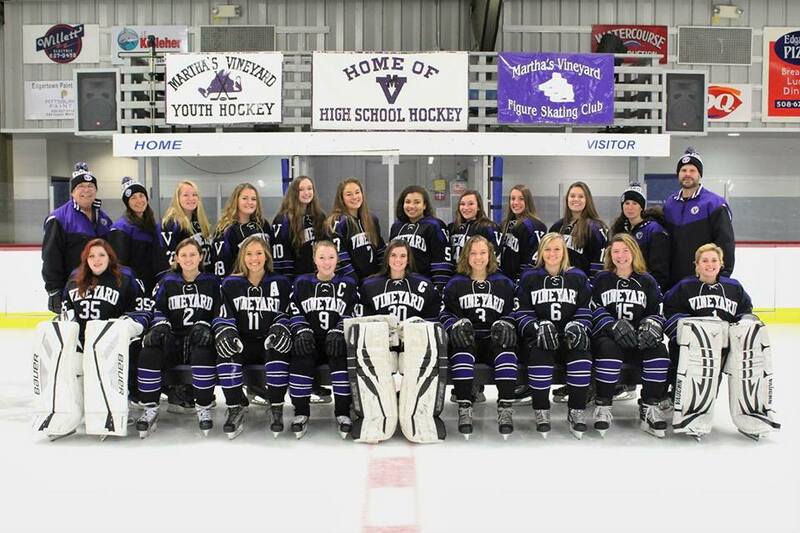 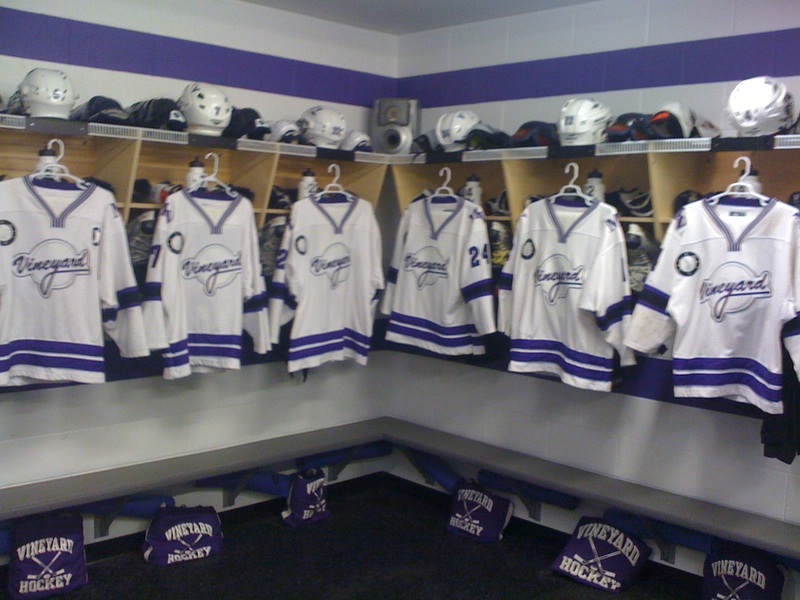 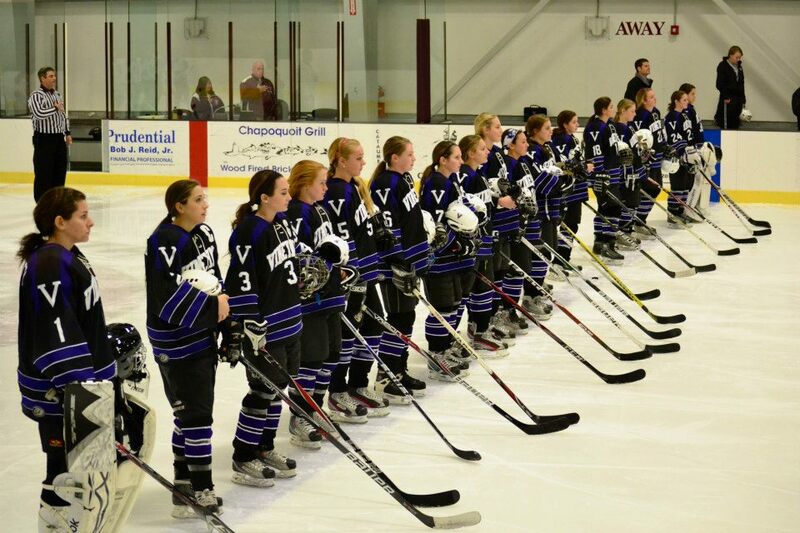 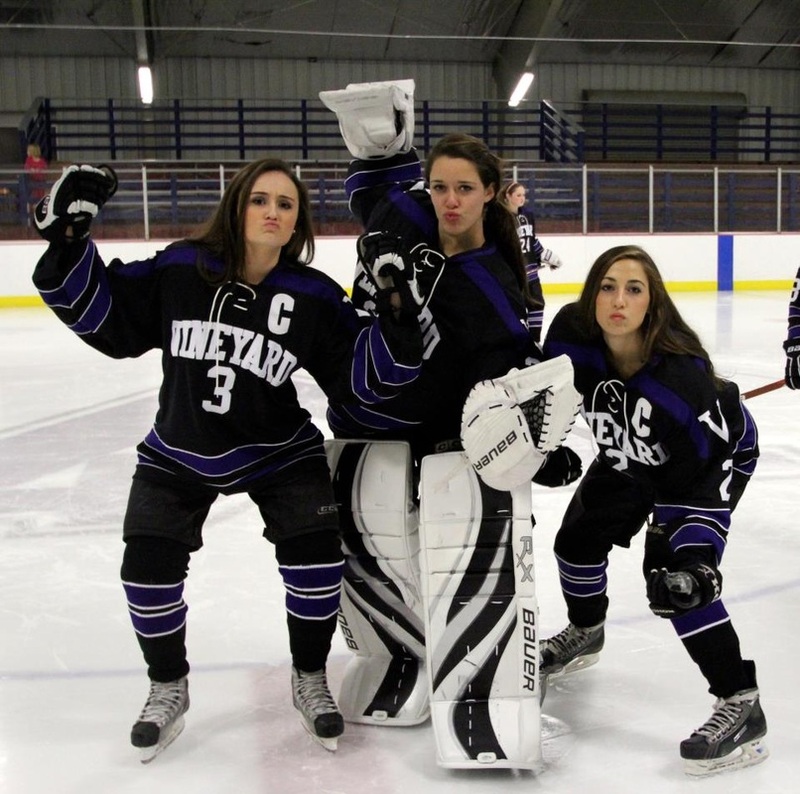 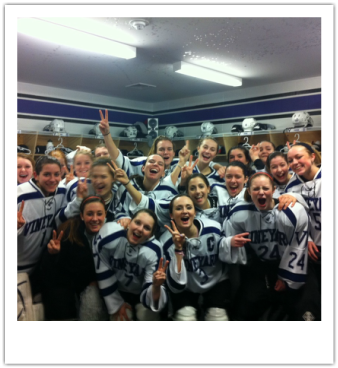 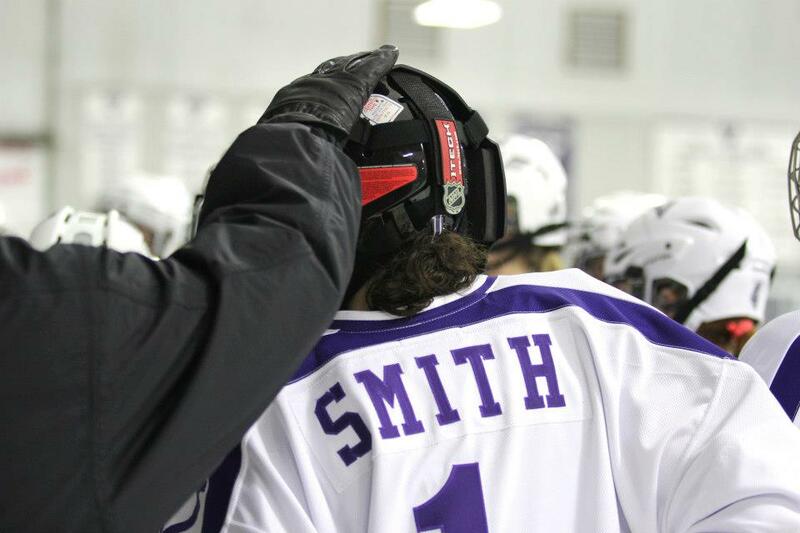 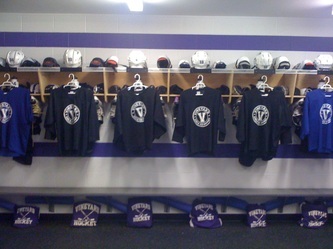 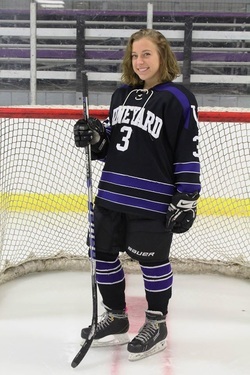 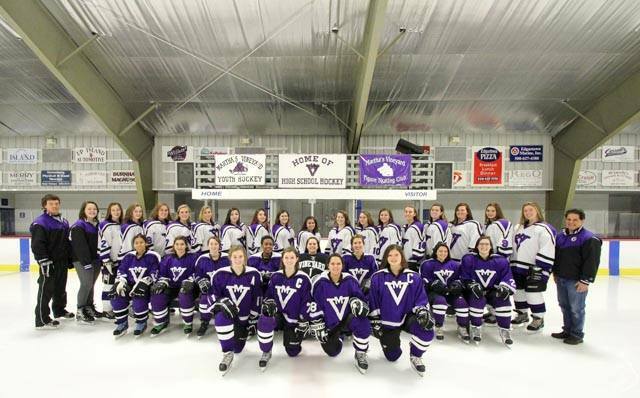 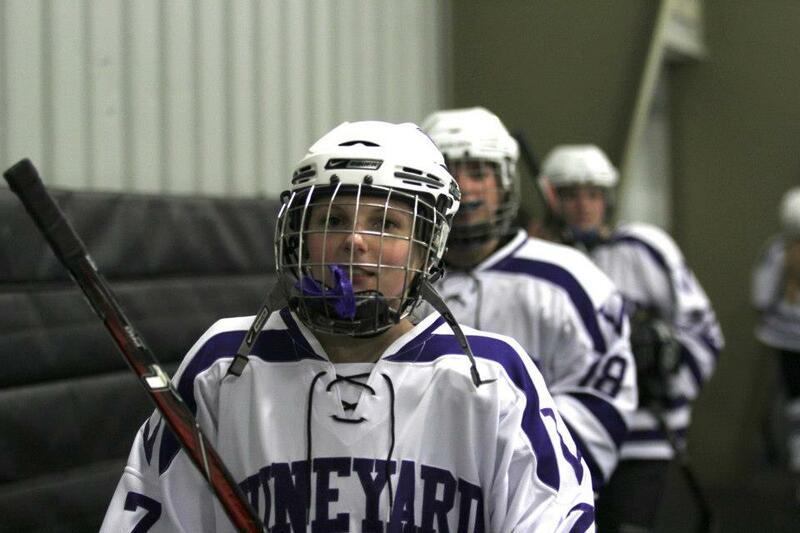 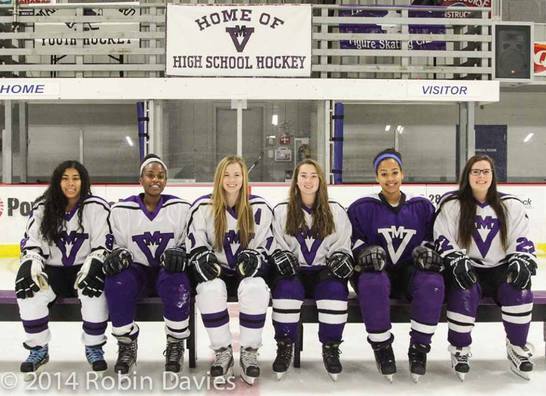 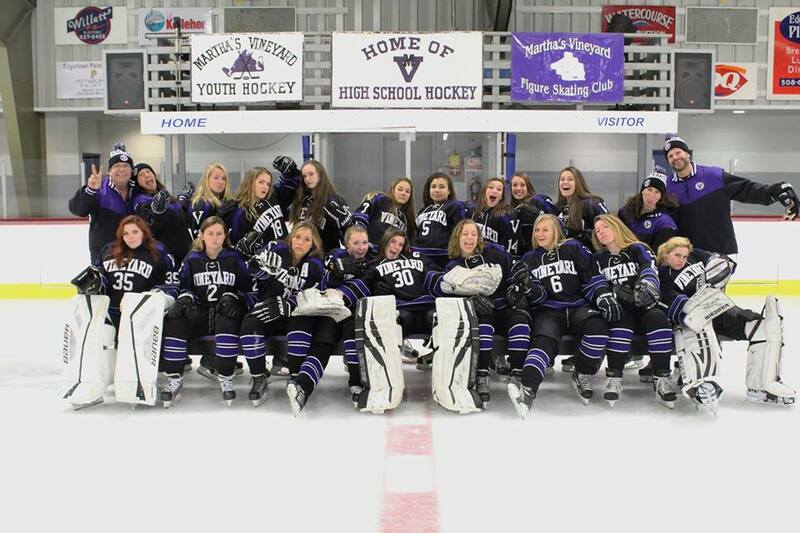 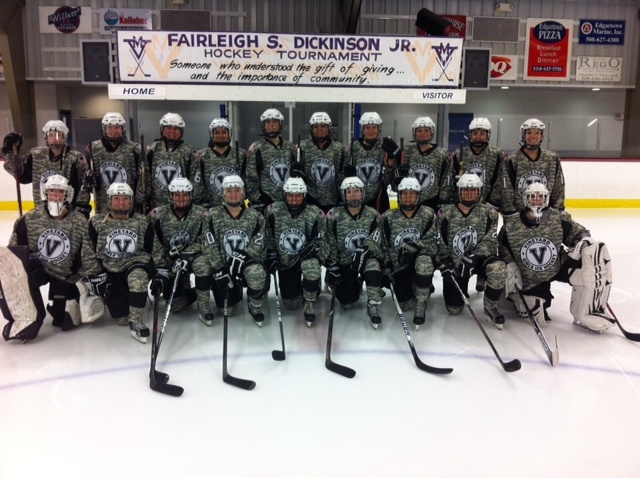 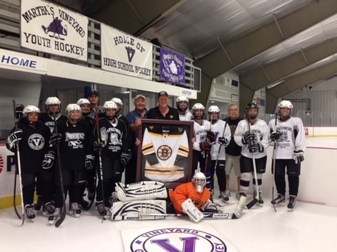 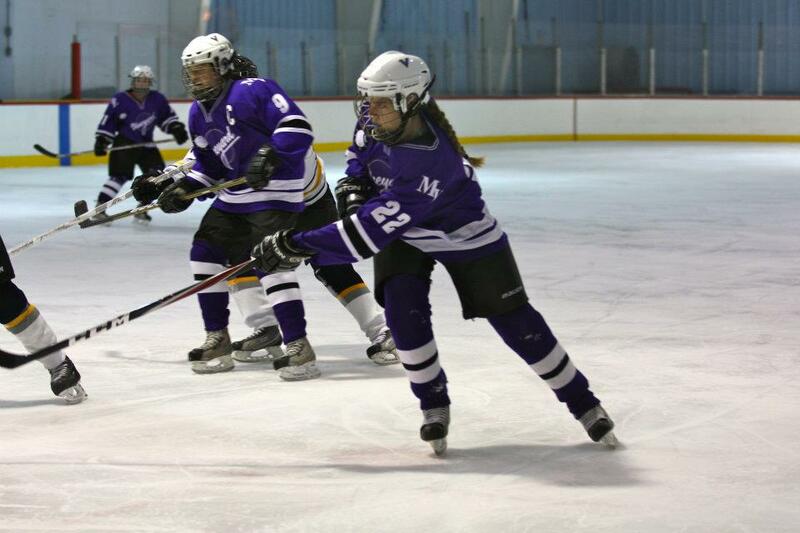 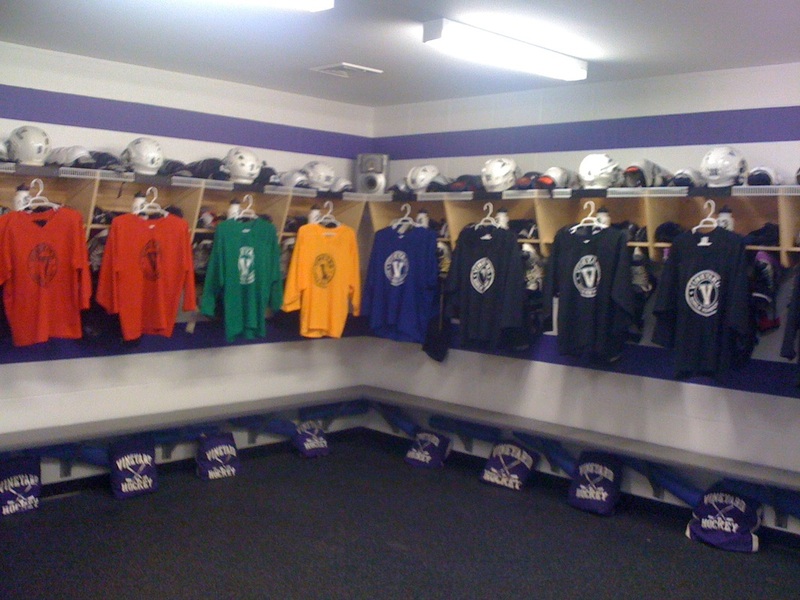 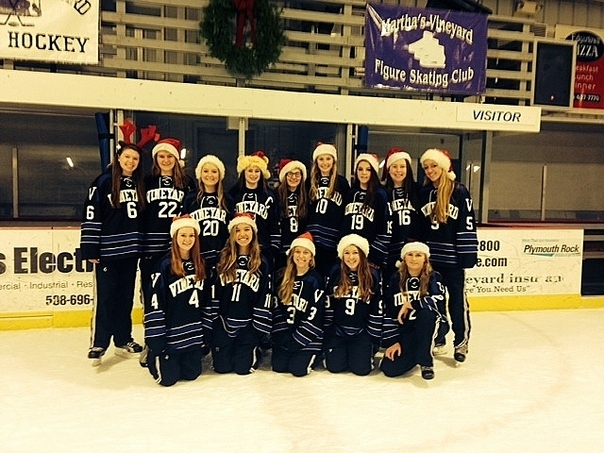 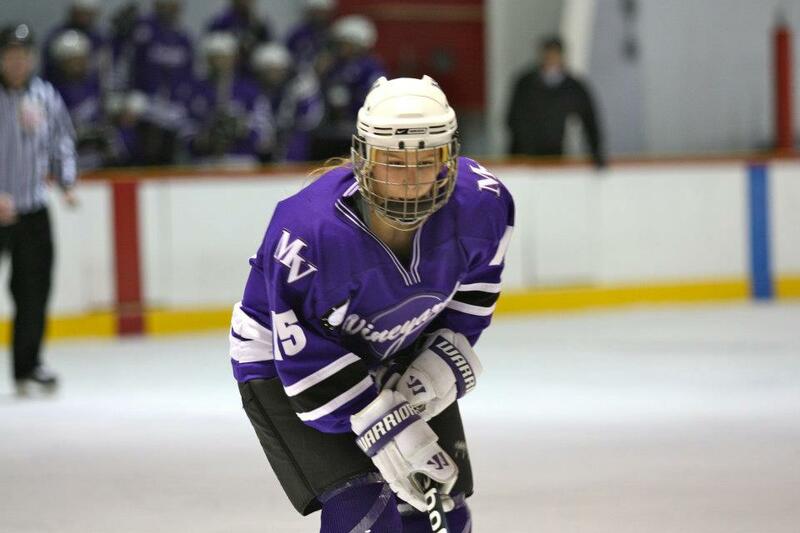 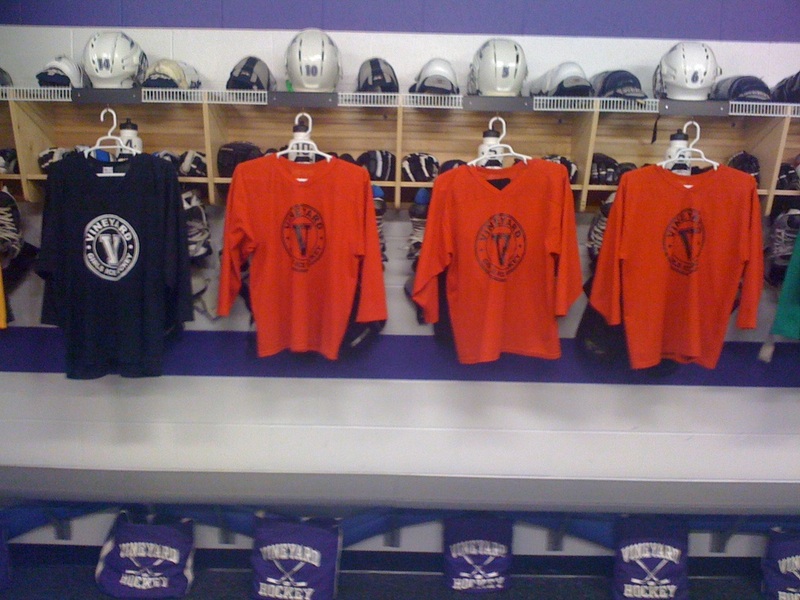 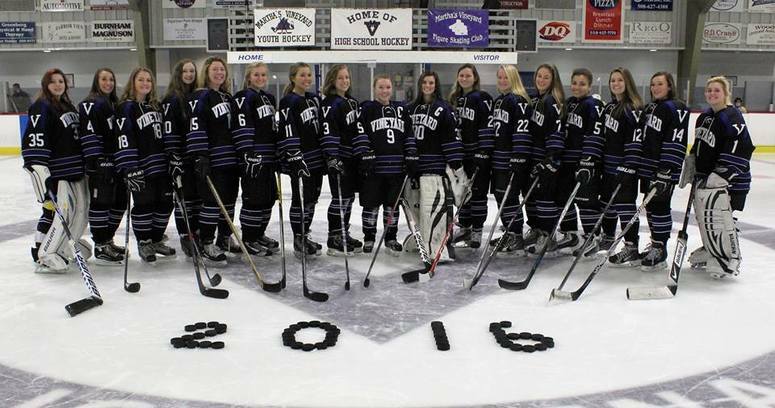 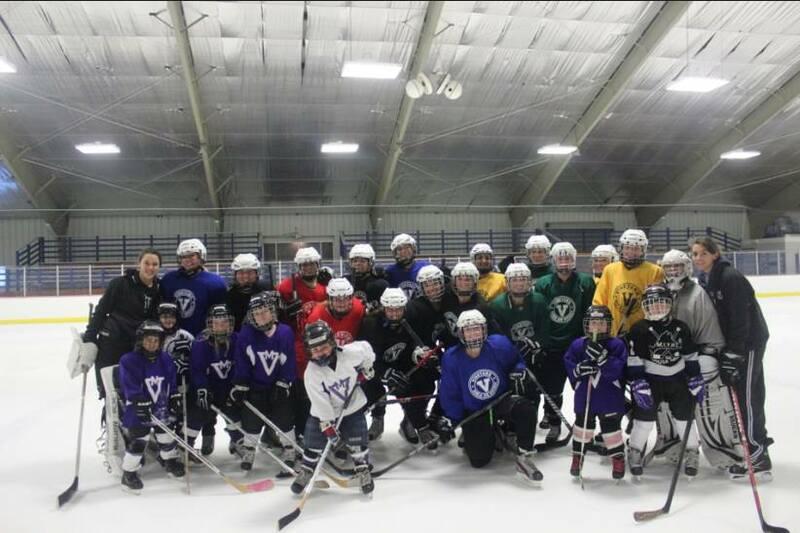 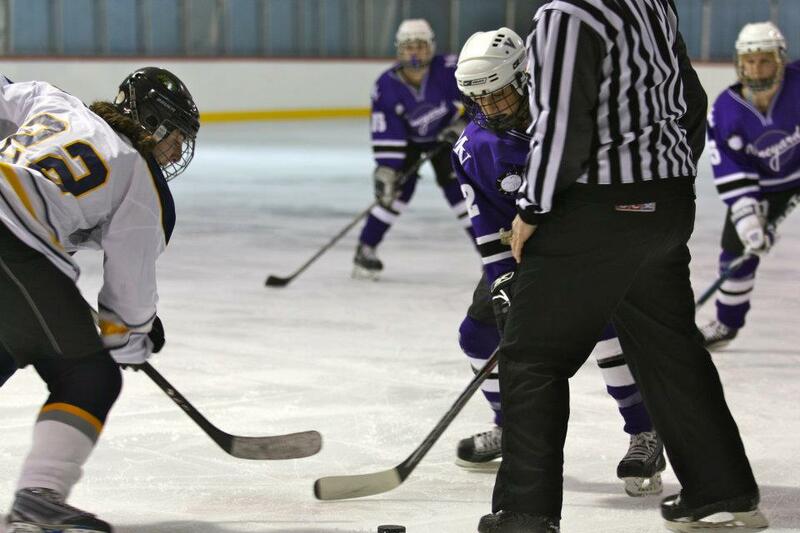 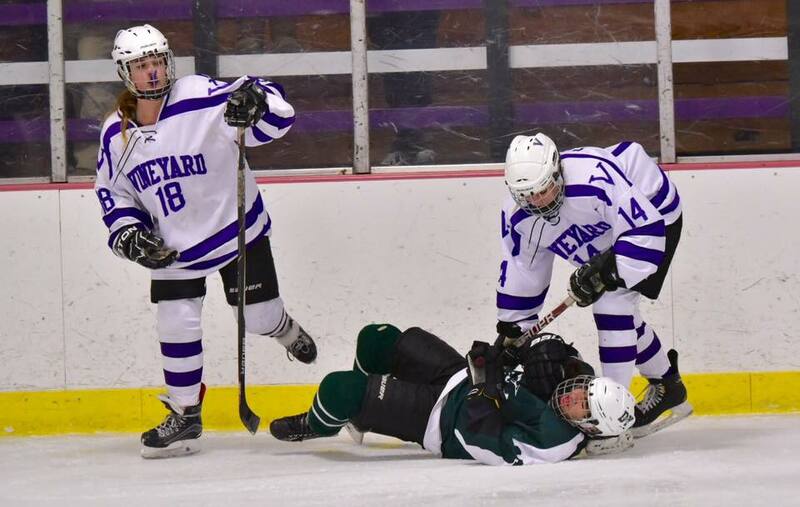 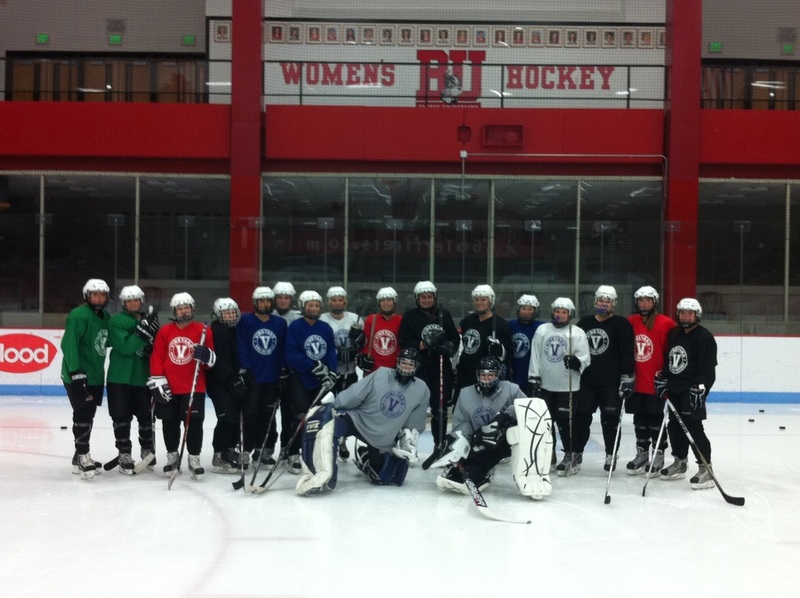 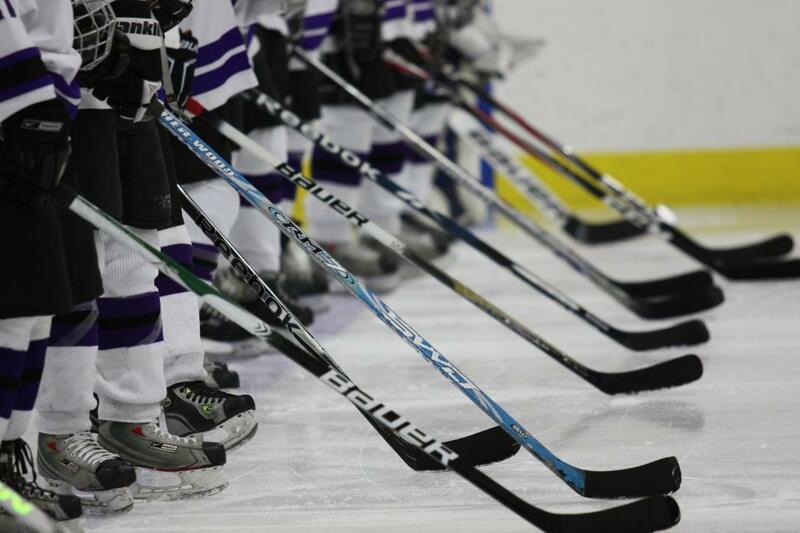 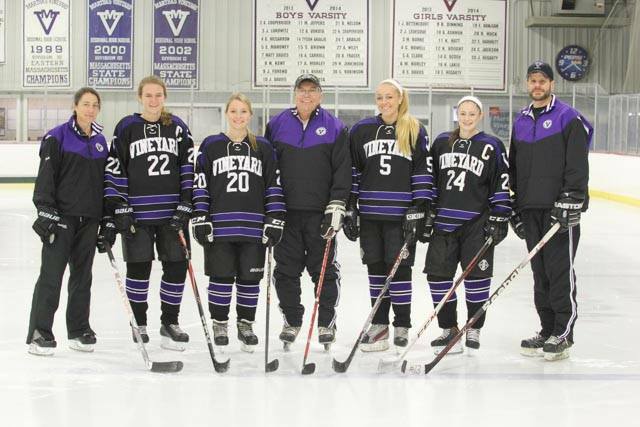 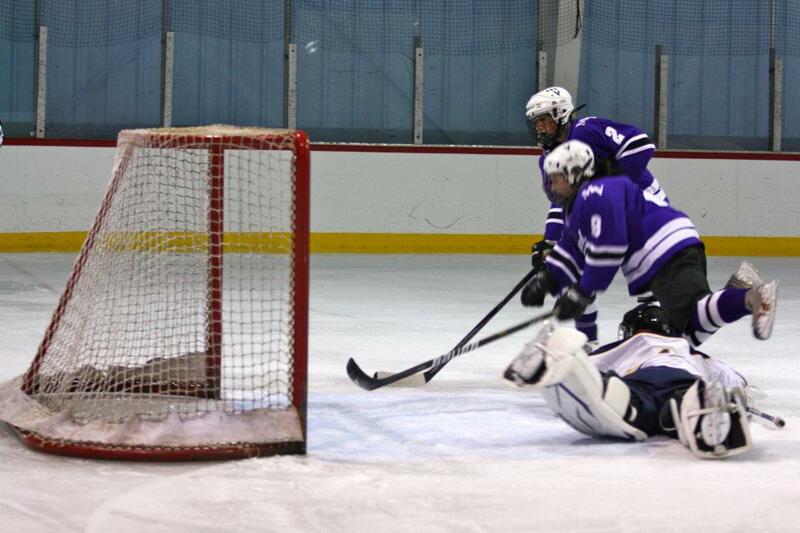 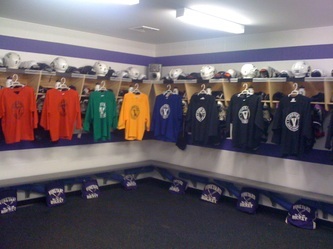 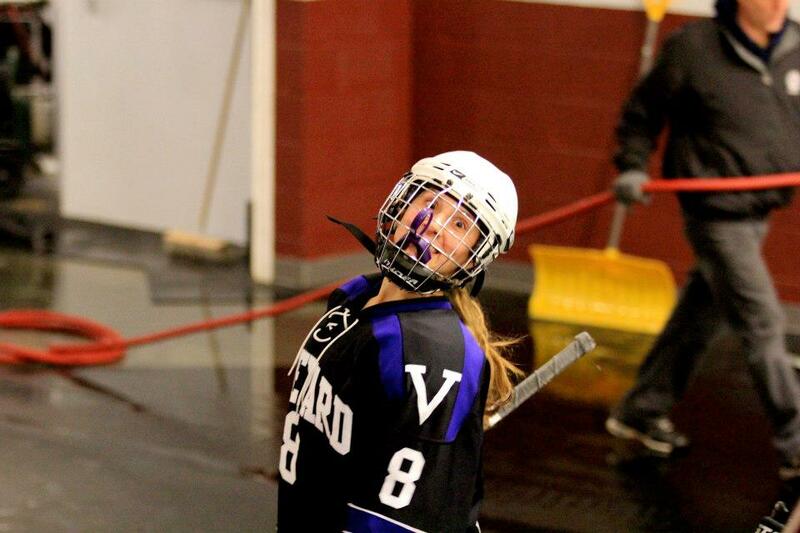 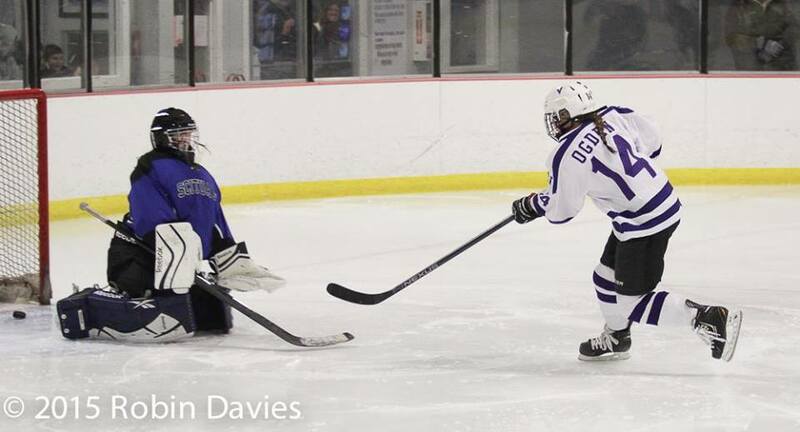 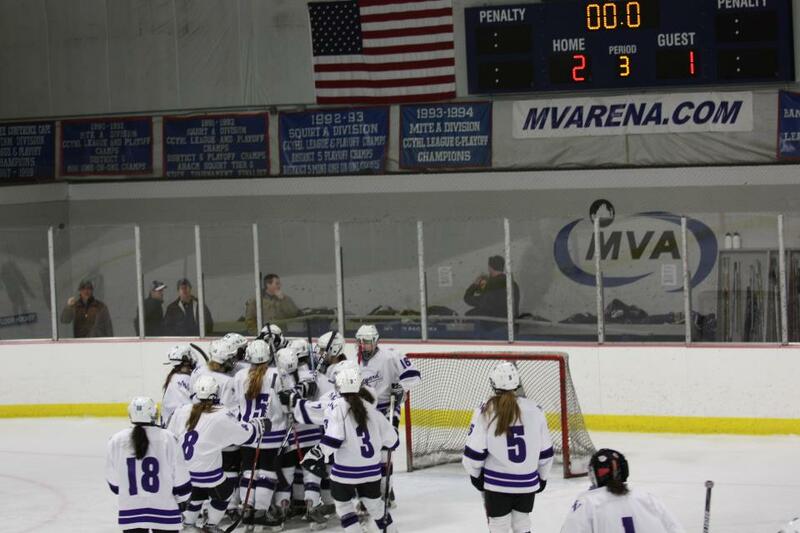 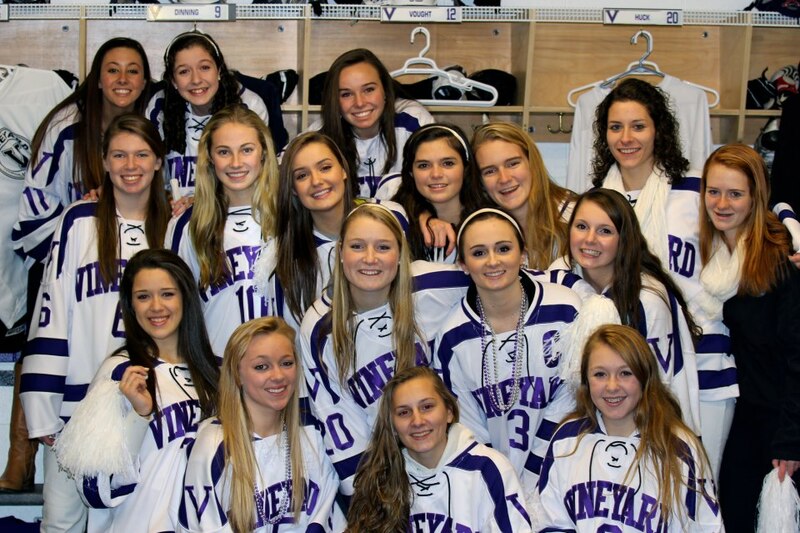 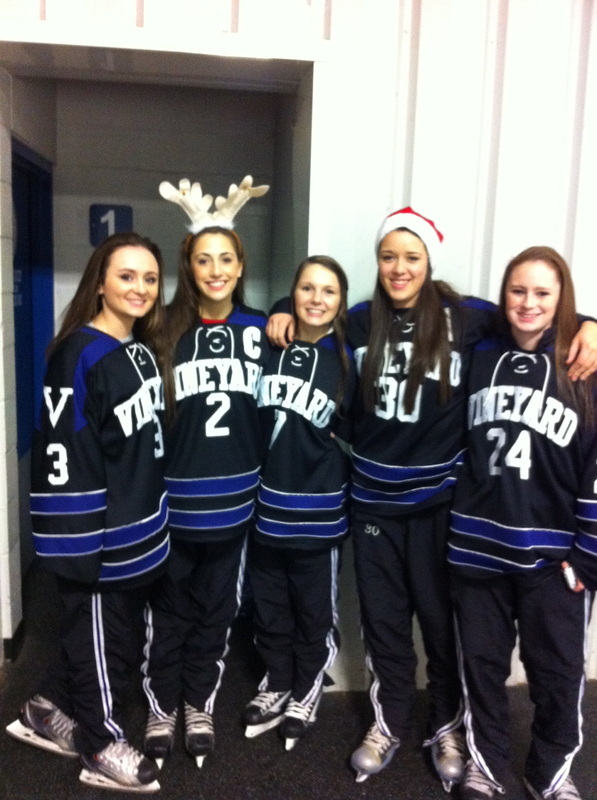 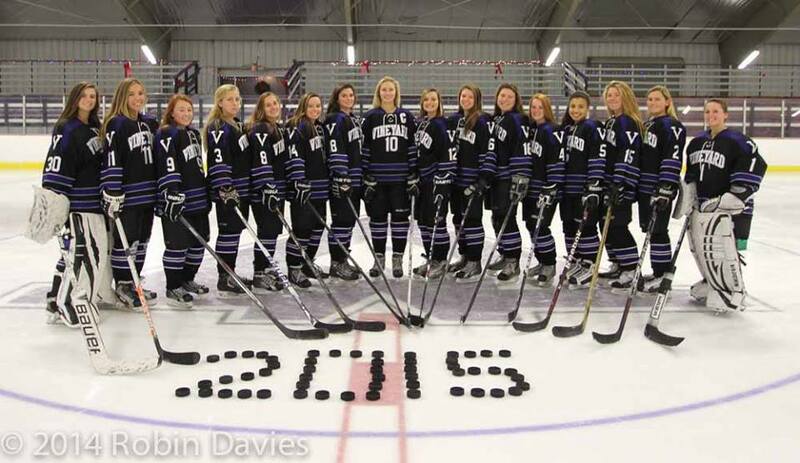 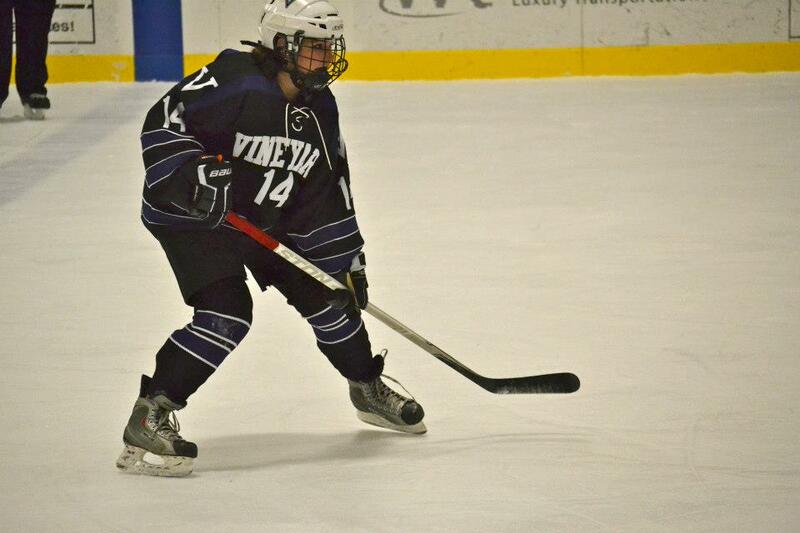 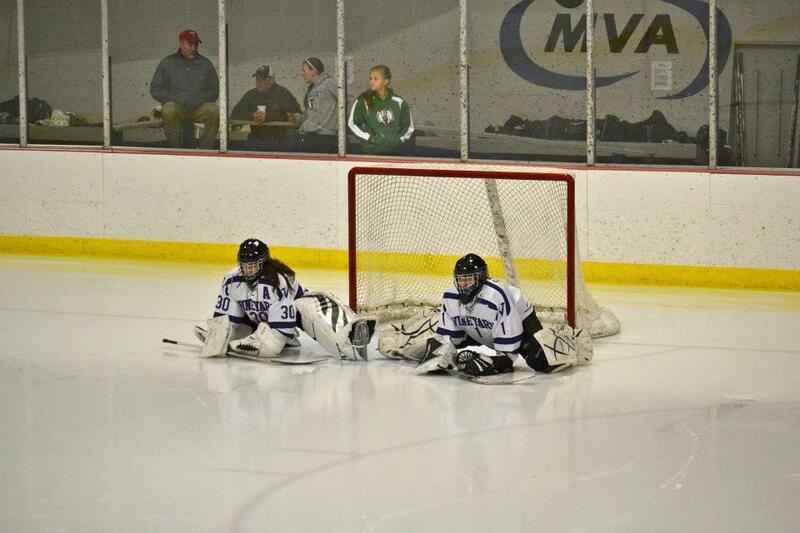 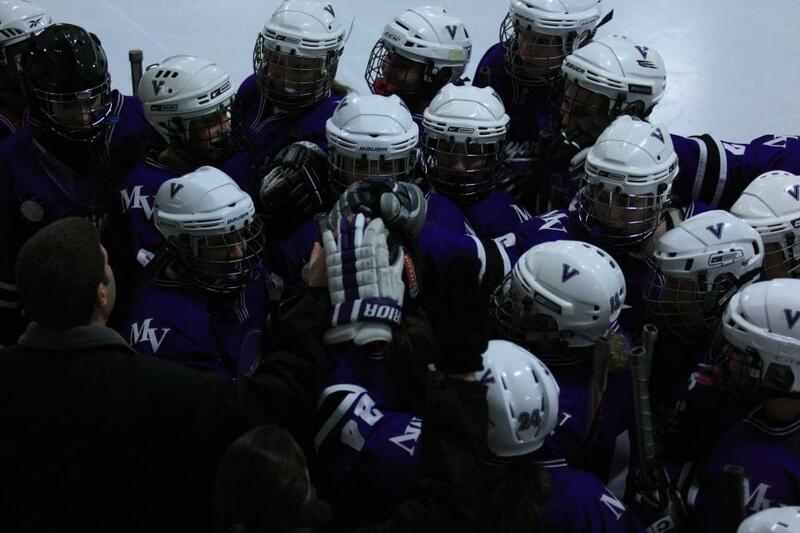 The Martha's Vineyard varsity hockey team opened up their 2013-2014 pre- season slate at the annual Cape & Island Hockey Jamboree. 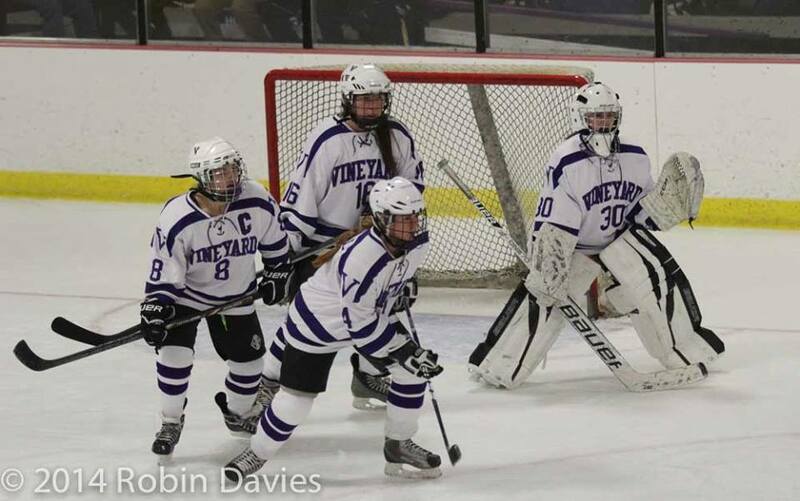 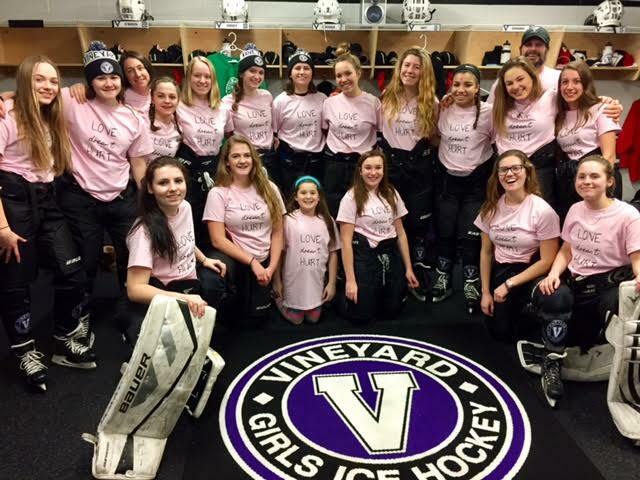 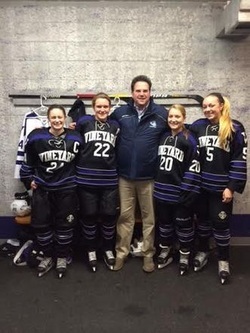 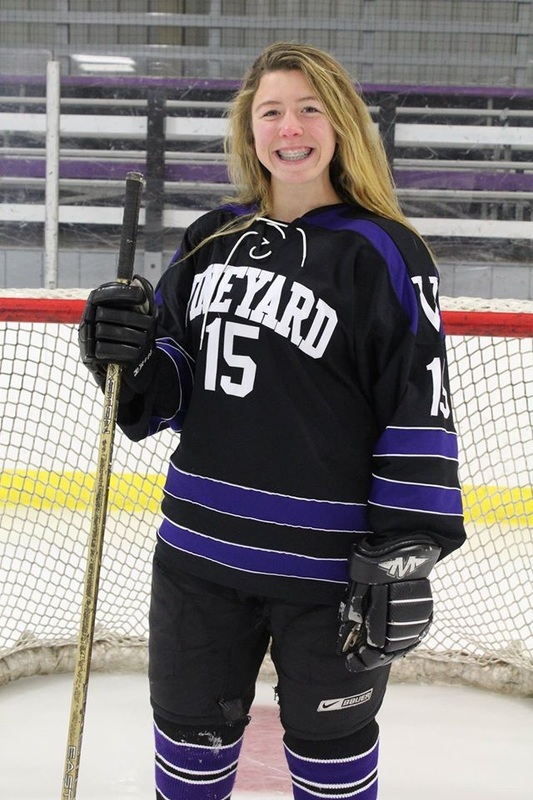 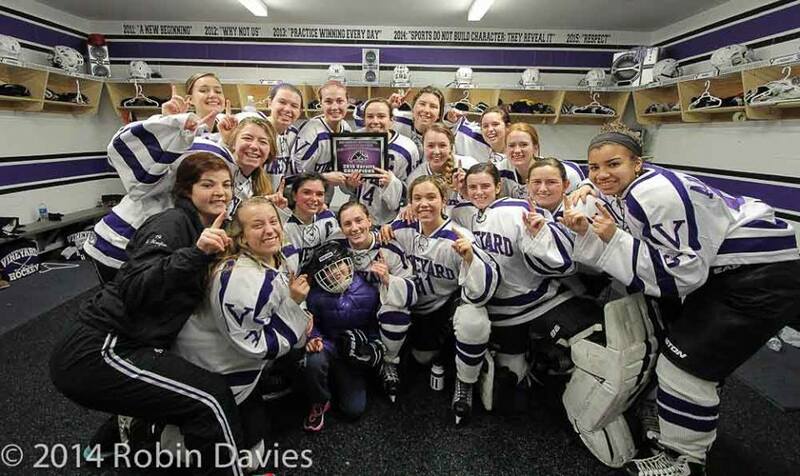 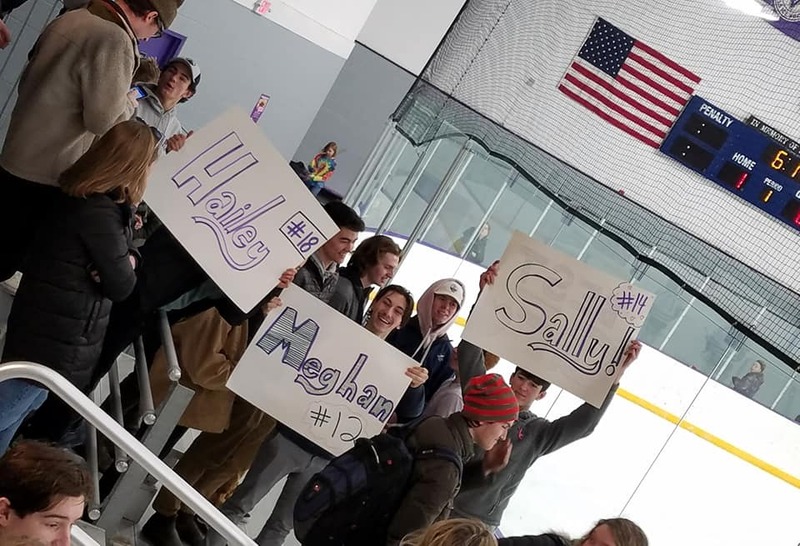 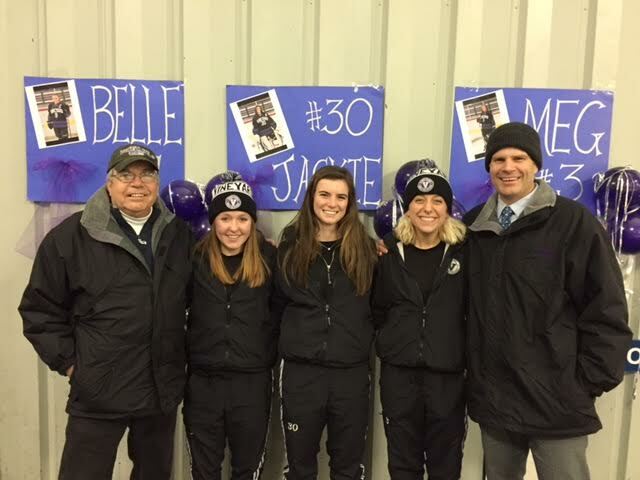 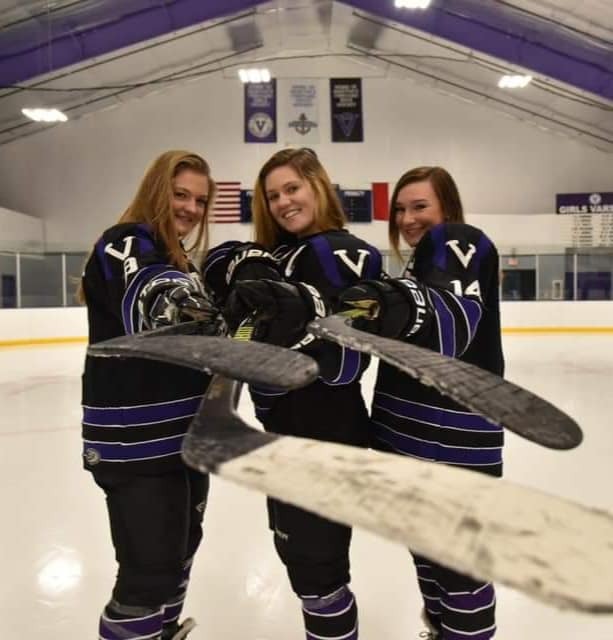 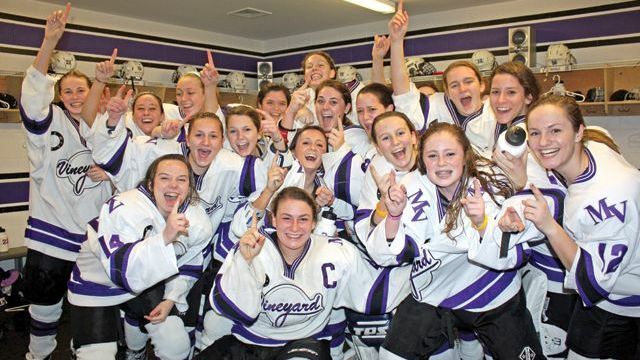 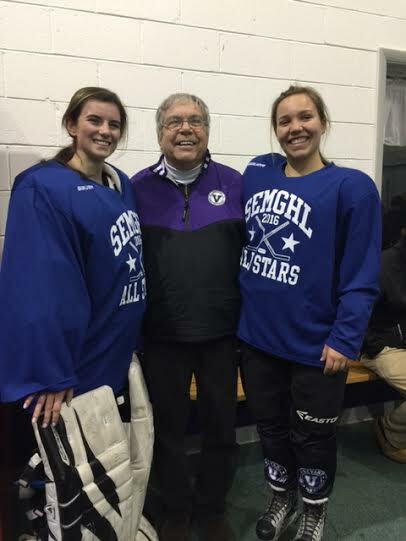 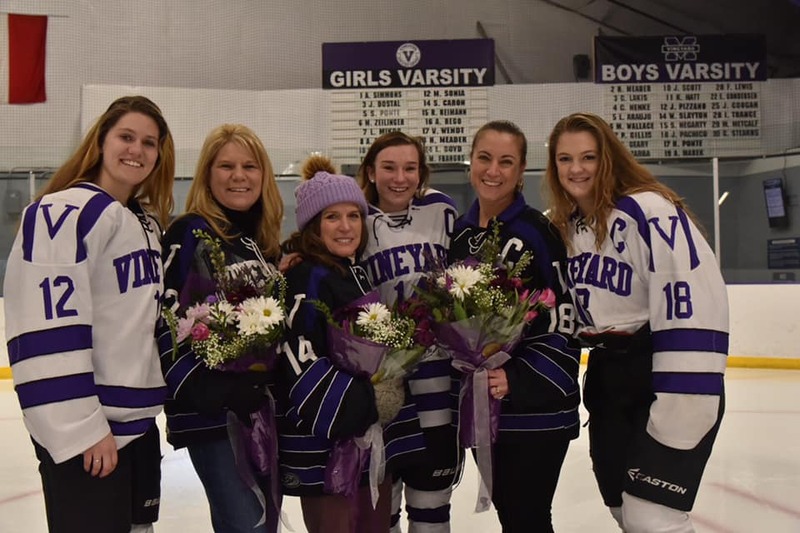 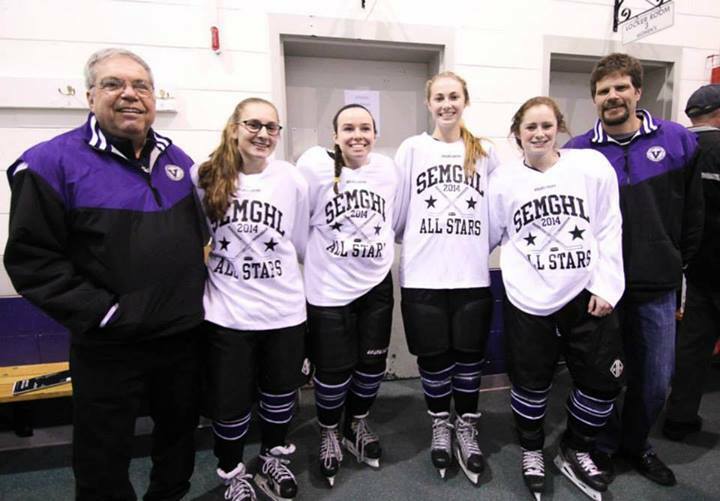 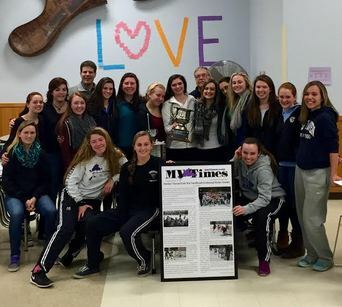 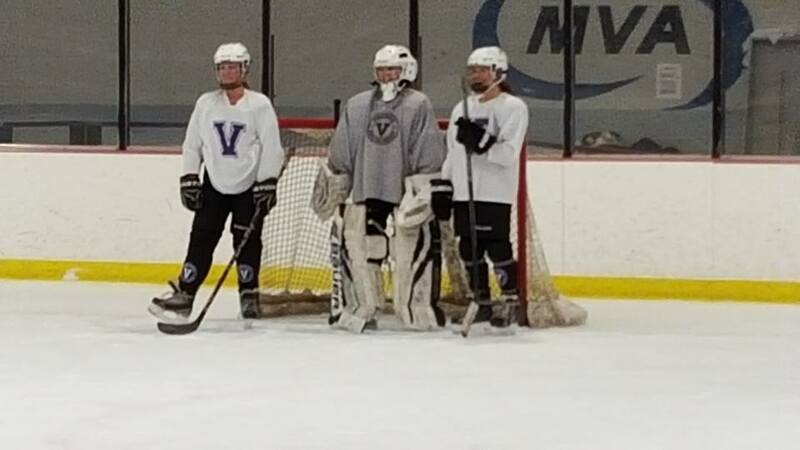 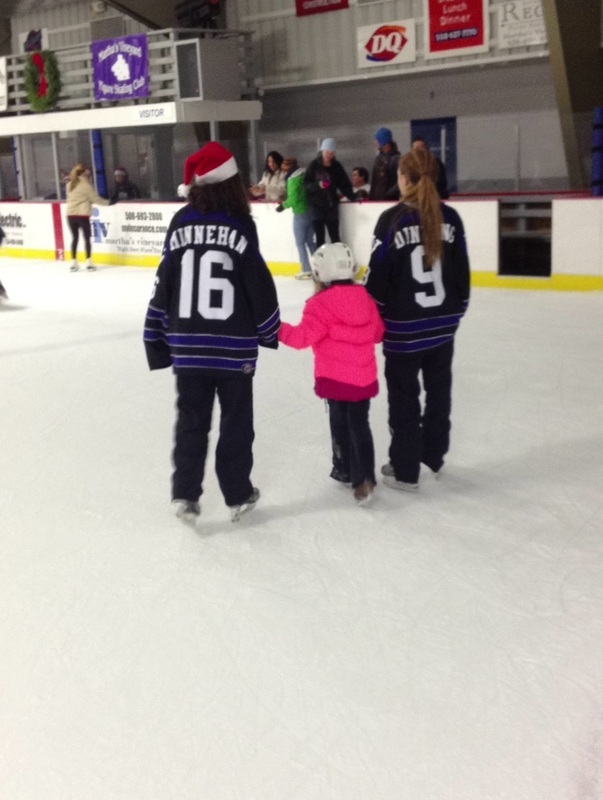 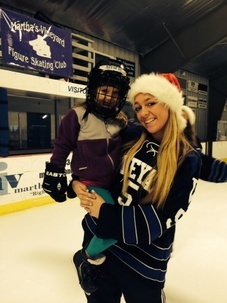 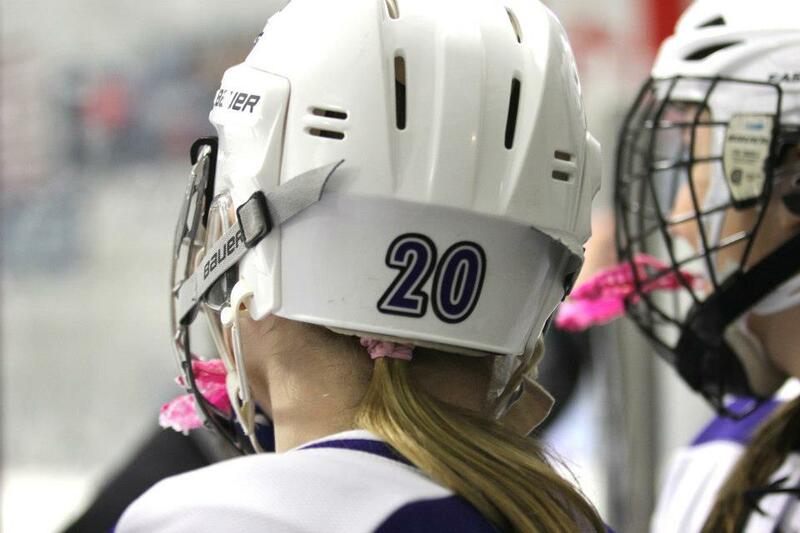 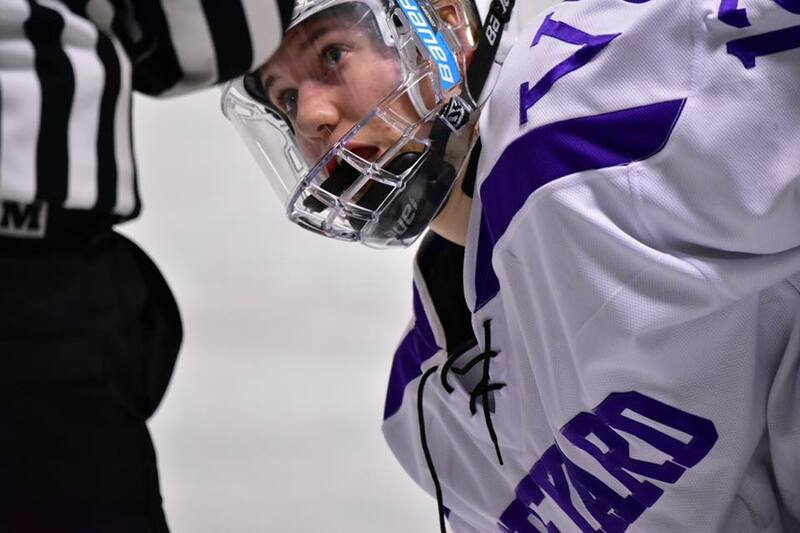 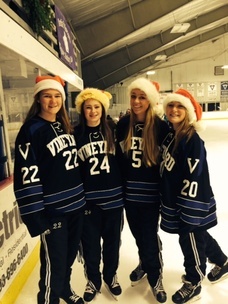 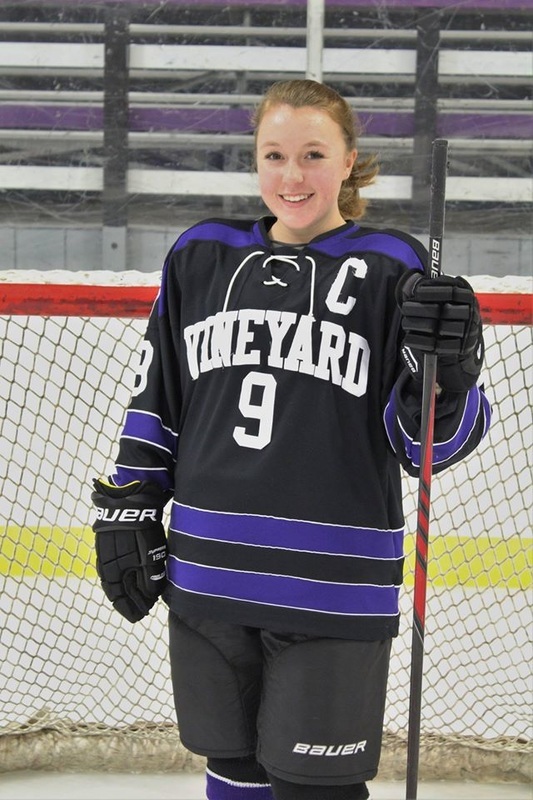 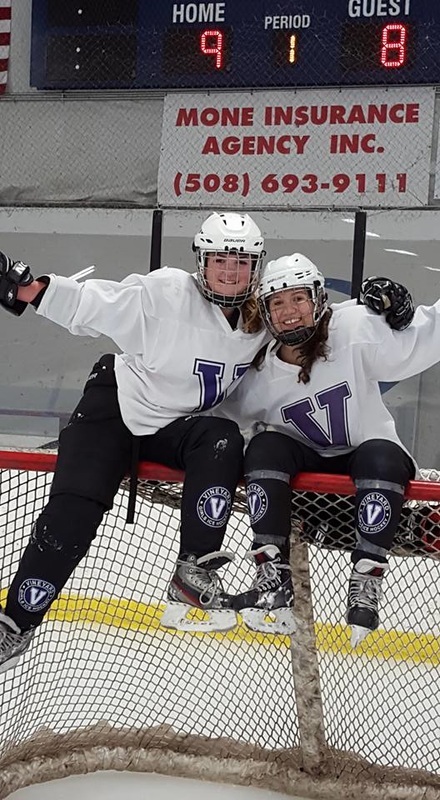 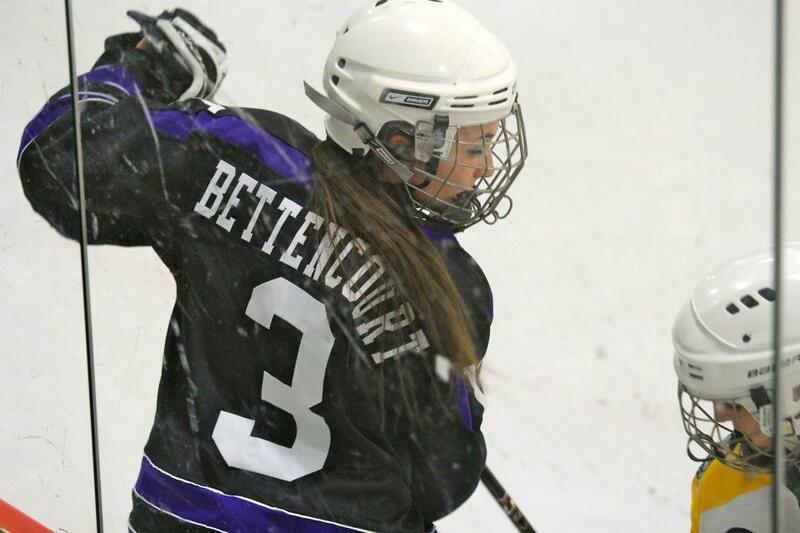 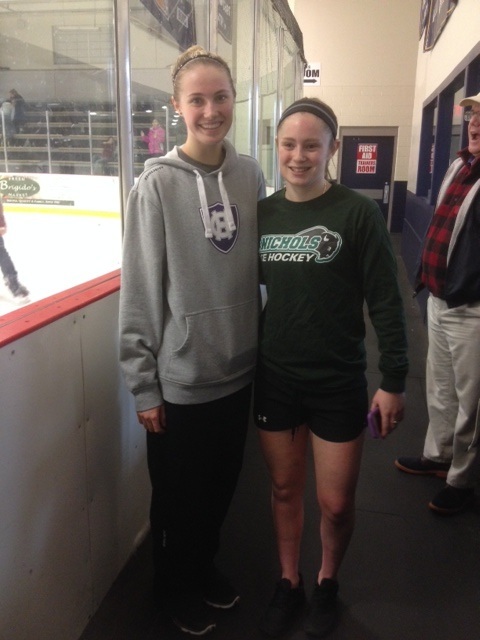 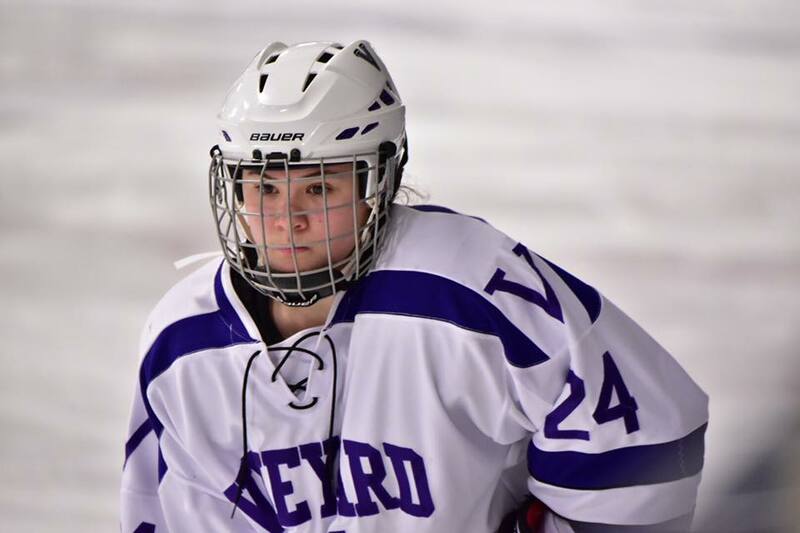 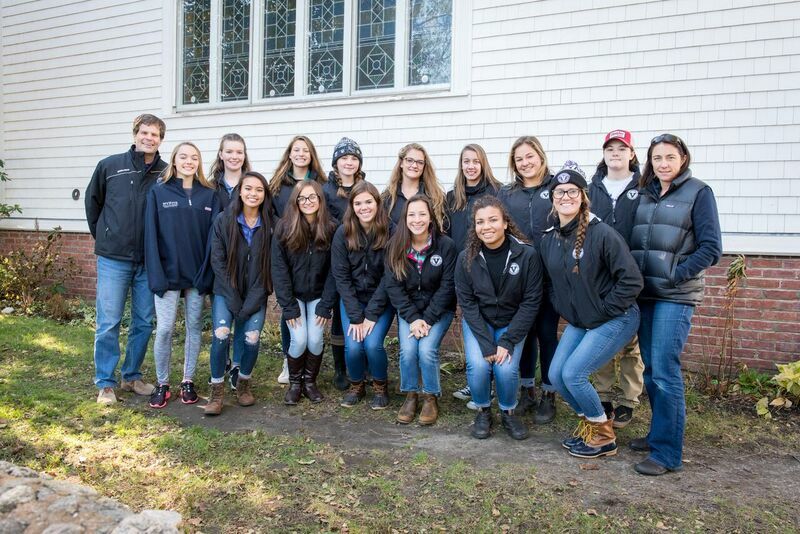 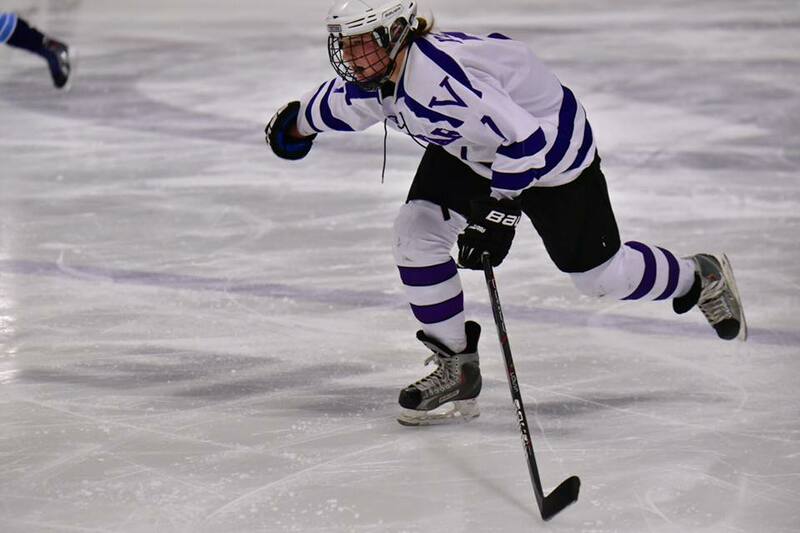 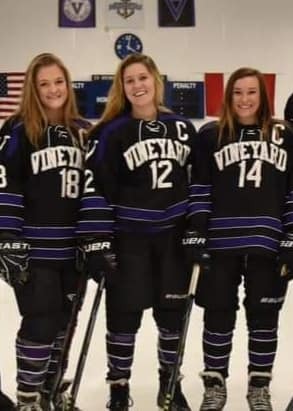 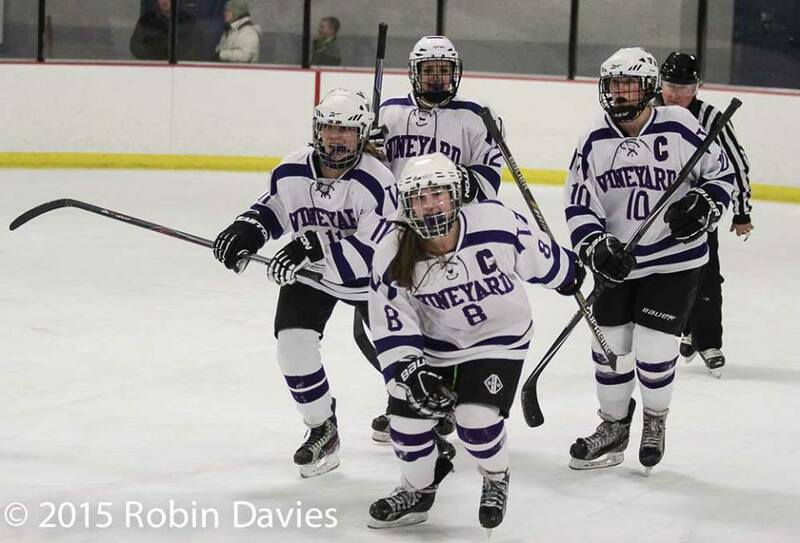 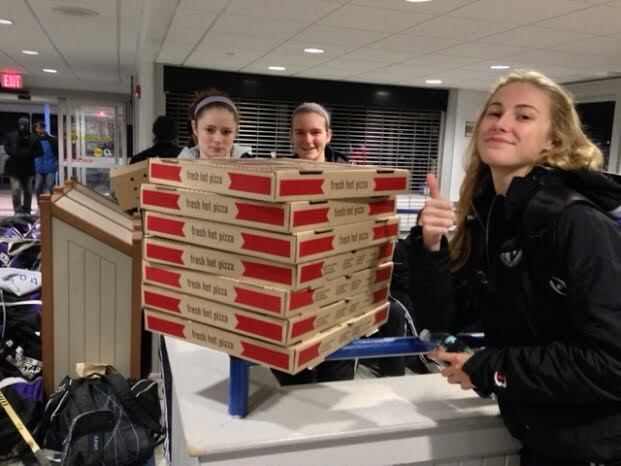 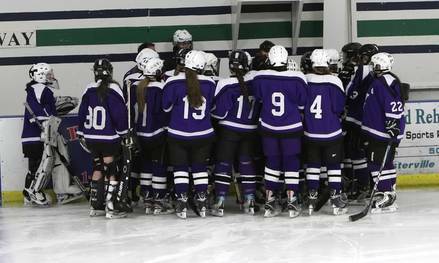 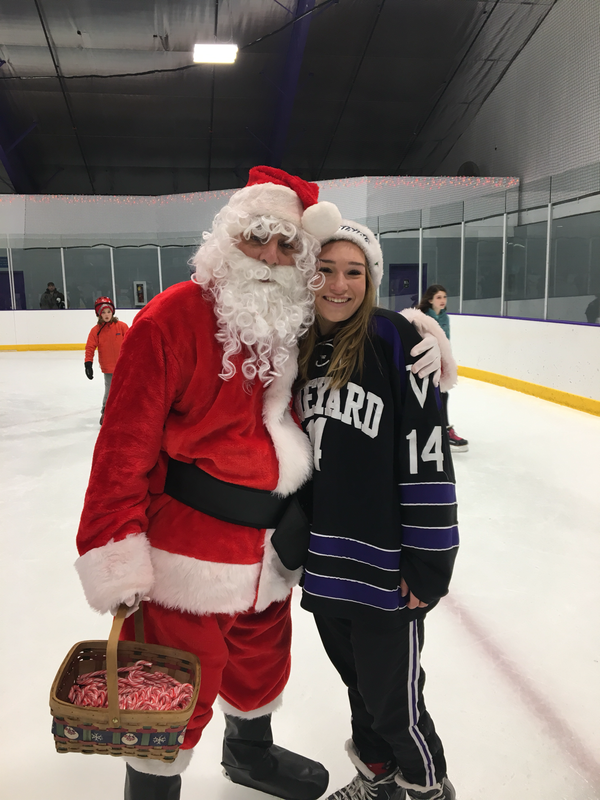 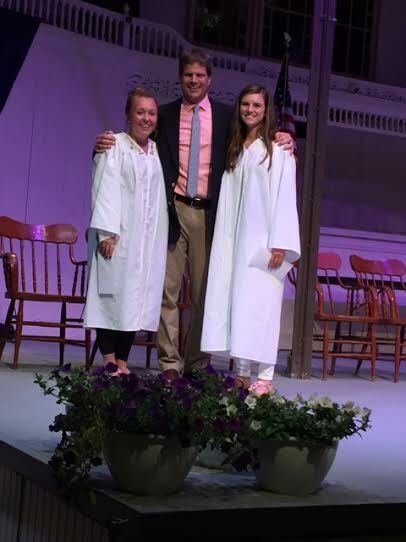 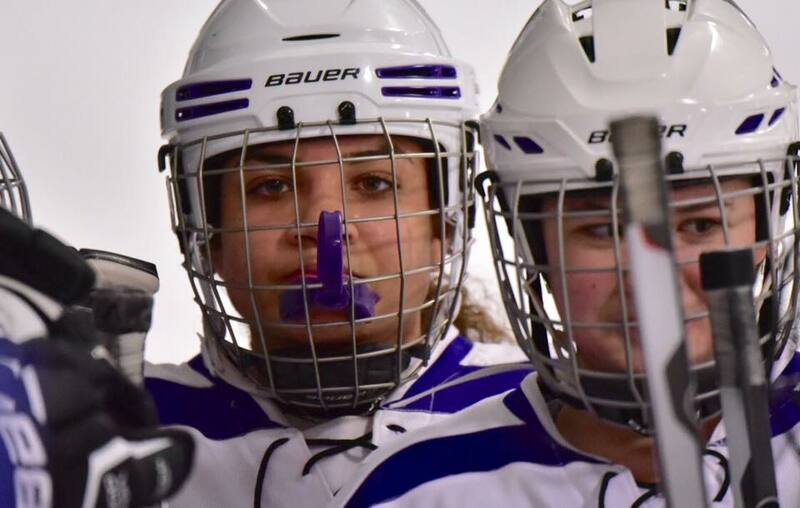 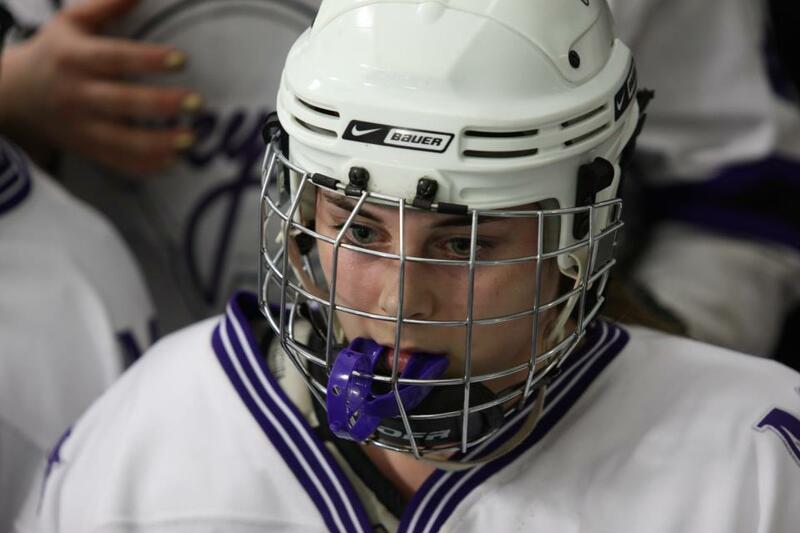 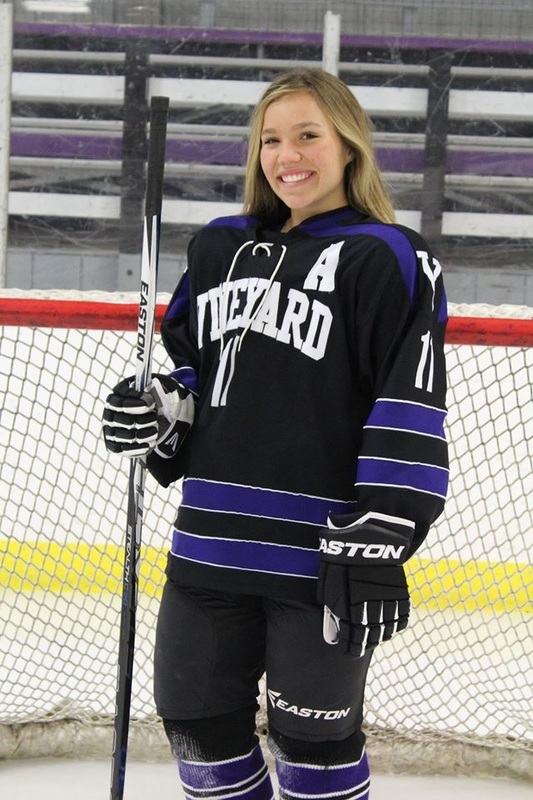 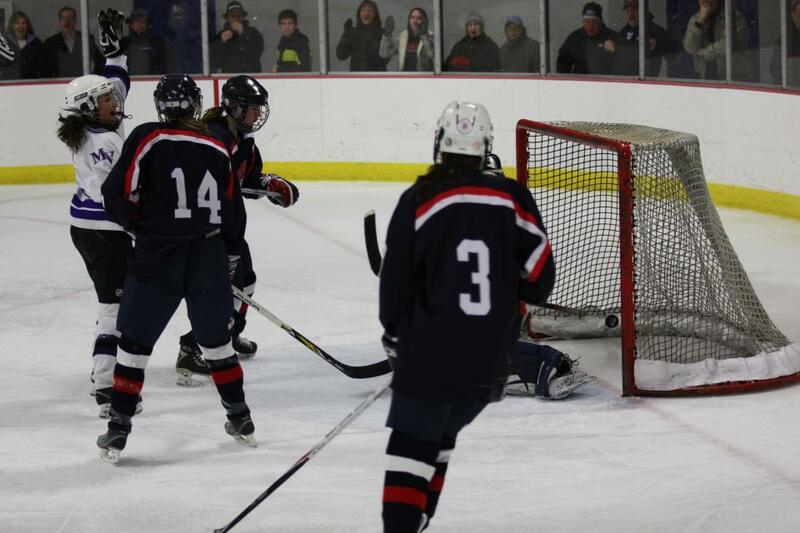 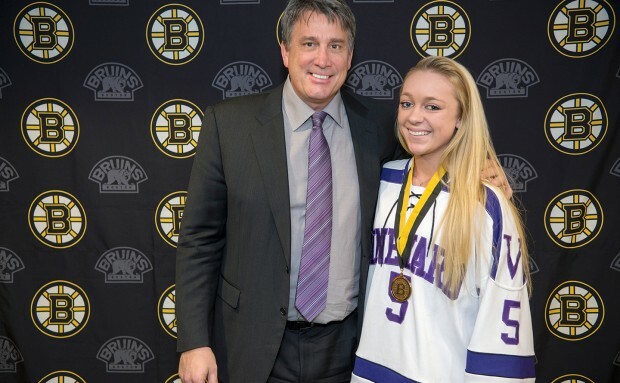 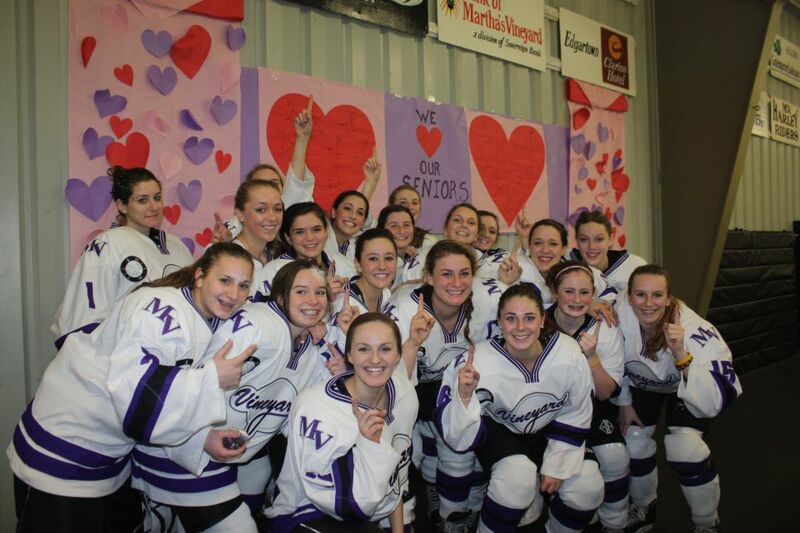 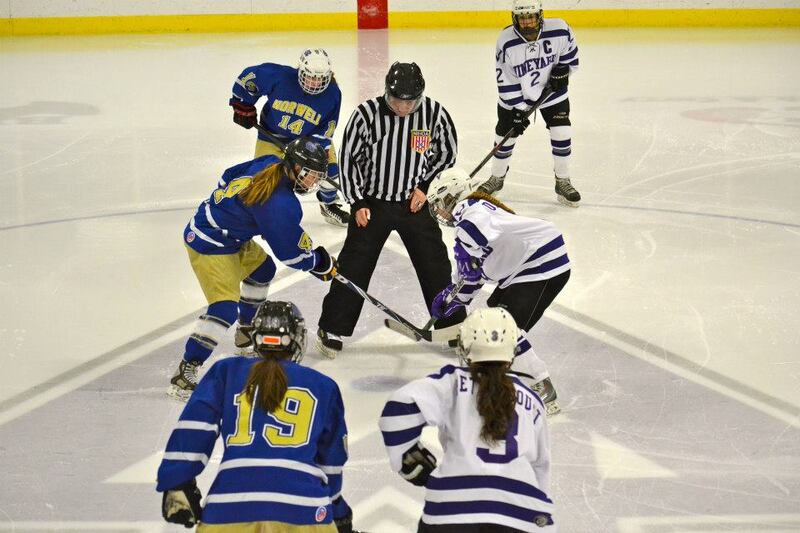 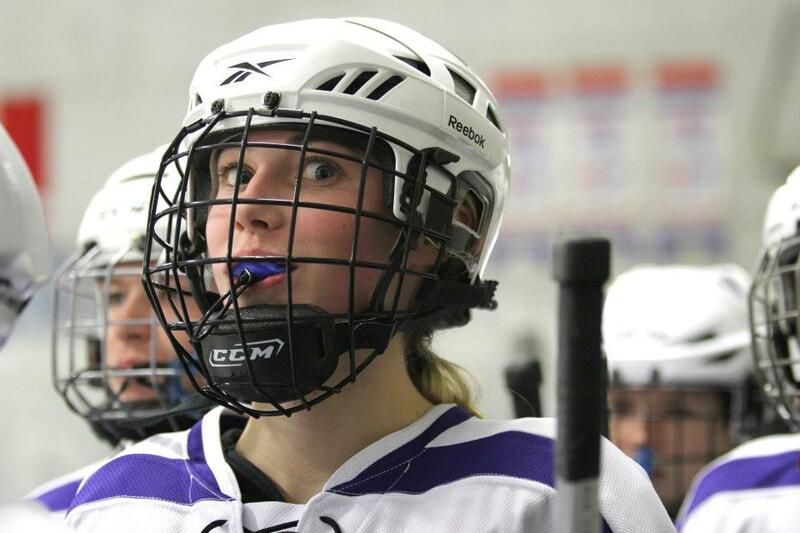 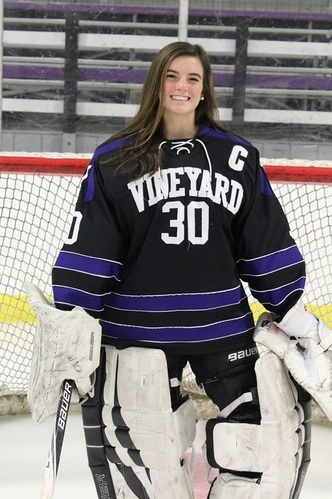 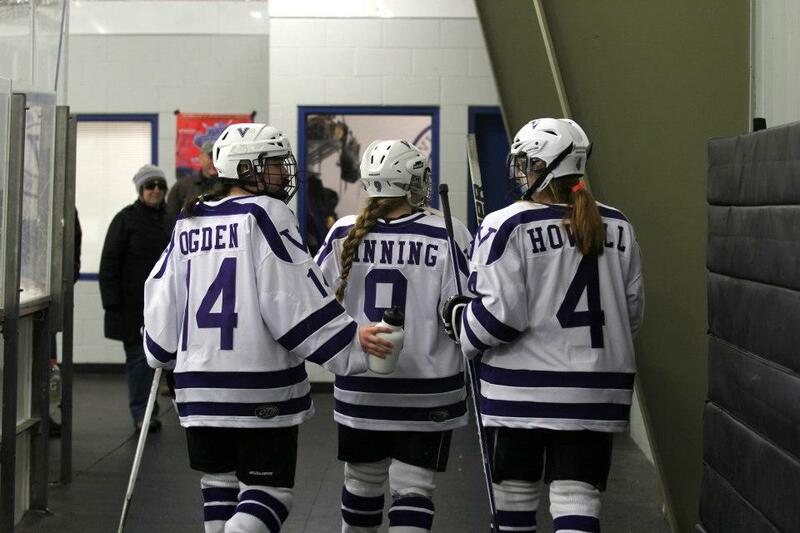 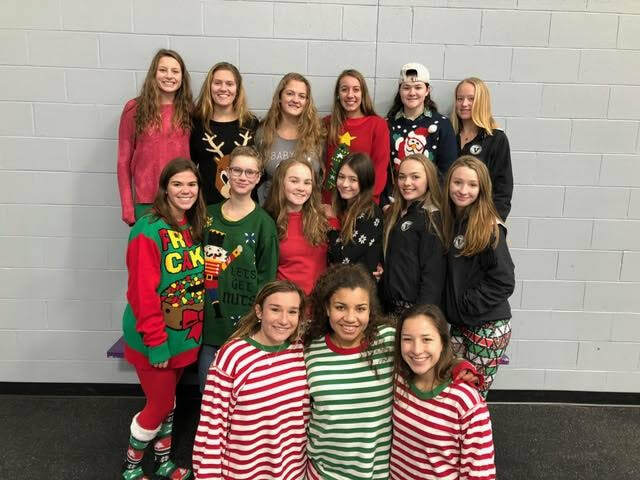 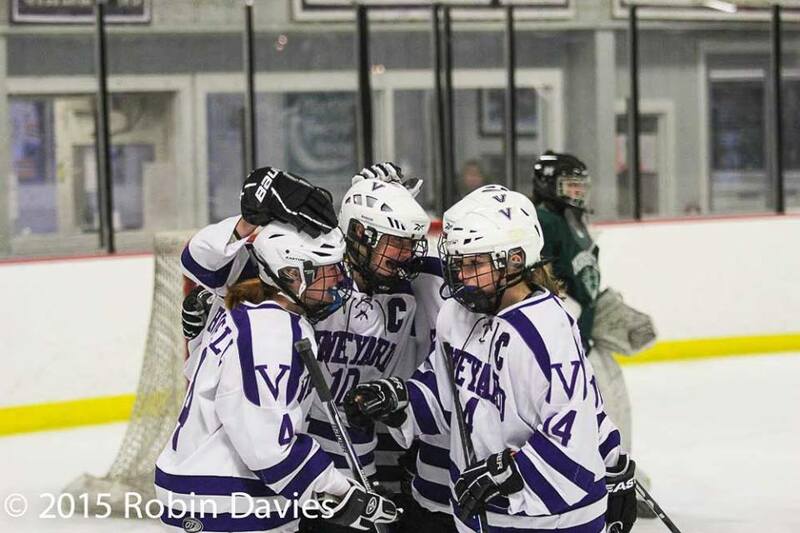 Hosted by Steve Noll and Sandwich High School, the Jamboree is organized to highlight the growth of girls hockey on the Cape, but more importantly, the event raises money for Children's Cove. 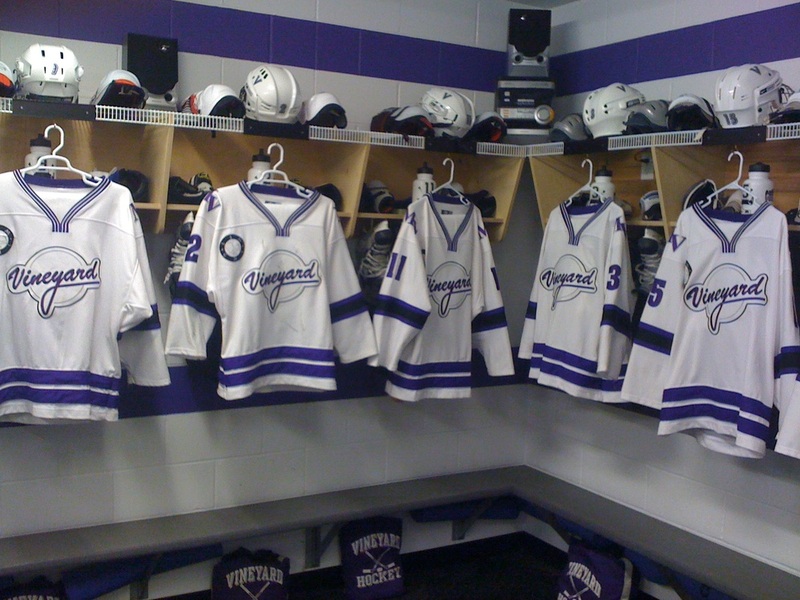 This was the first time the 2013-2014 team was on display. 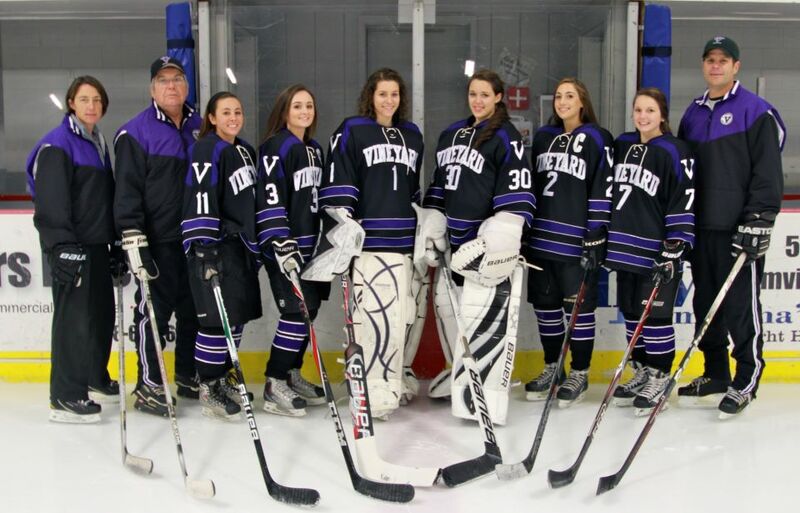 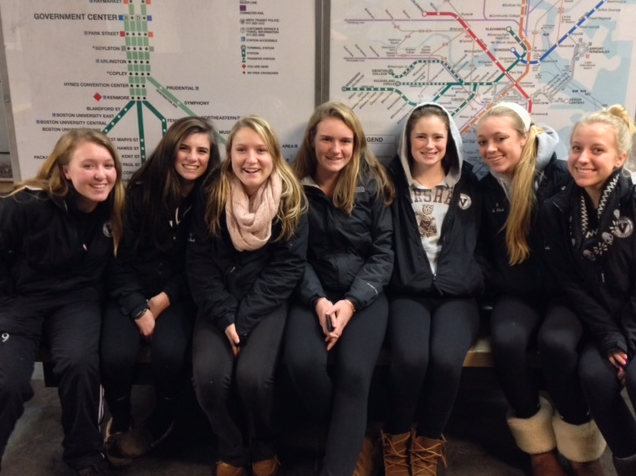 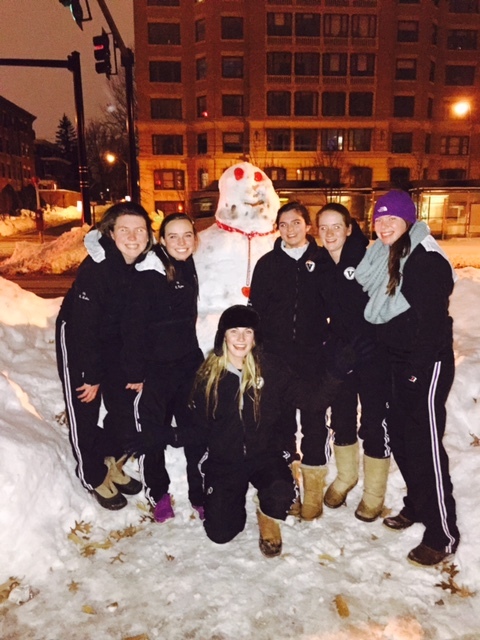 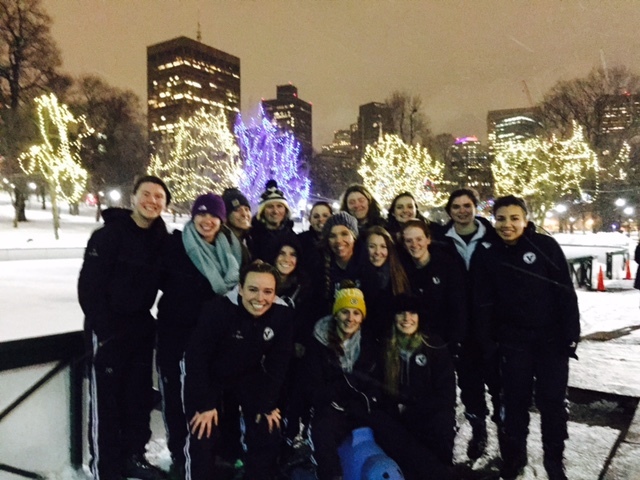 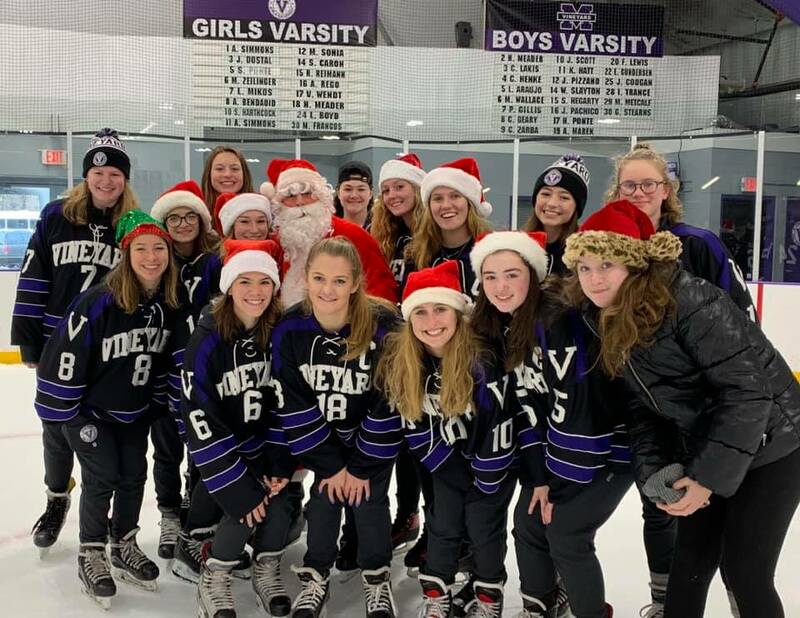 New players; Jackie Hegarty, Meg Burke, Katrina Lakis, Kylie Hatt, Julia Levesque, Ellie Hanjian and Julia Bettencourt joined the 12 returning varsity players. 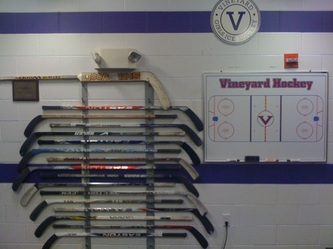 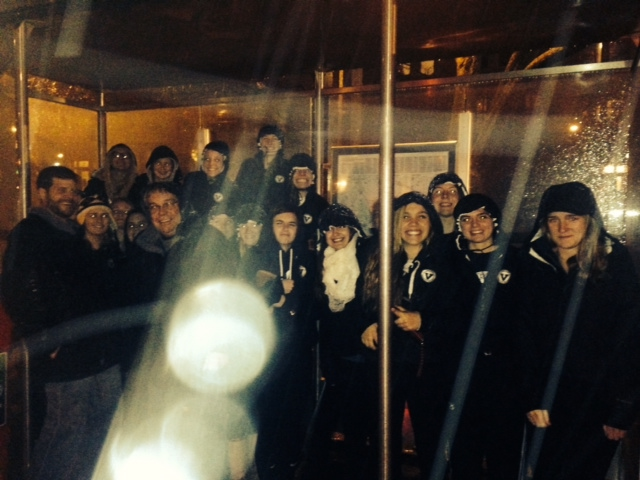 The Vineyarders played Bourne and Sandwich and were quite impressive in both games. 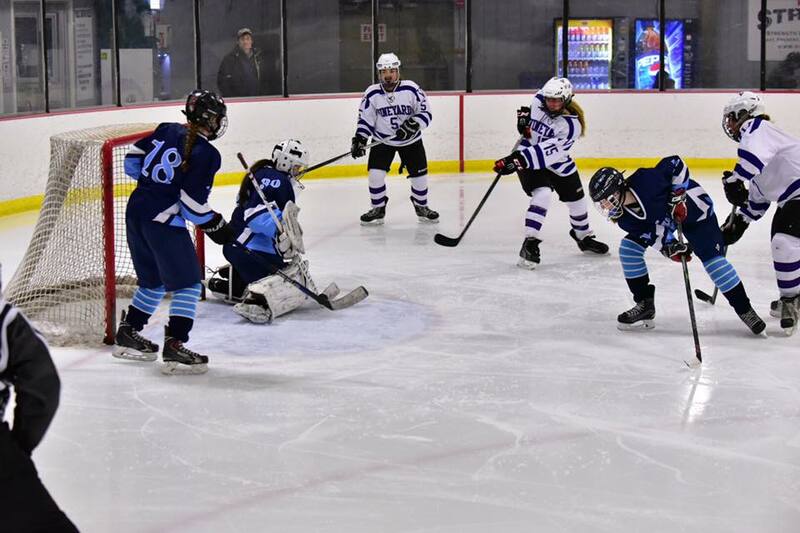 While the contests showed plenty of areas the team needs to address, the games were spirited and highlighted the potential for a good season. 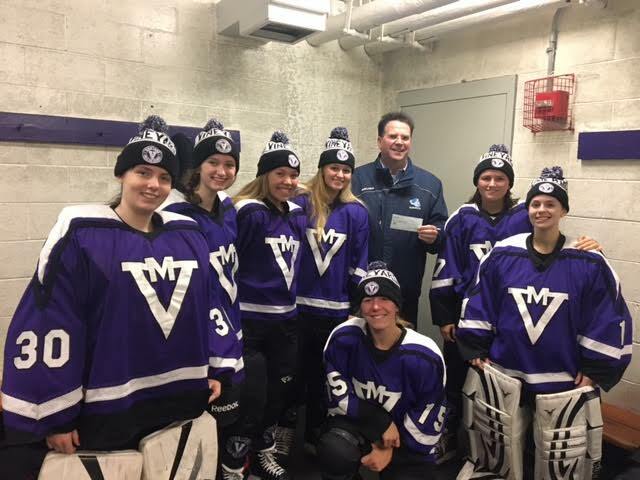 The players presented Coach Noll with a check for $250. 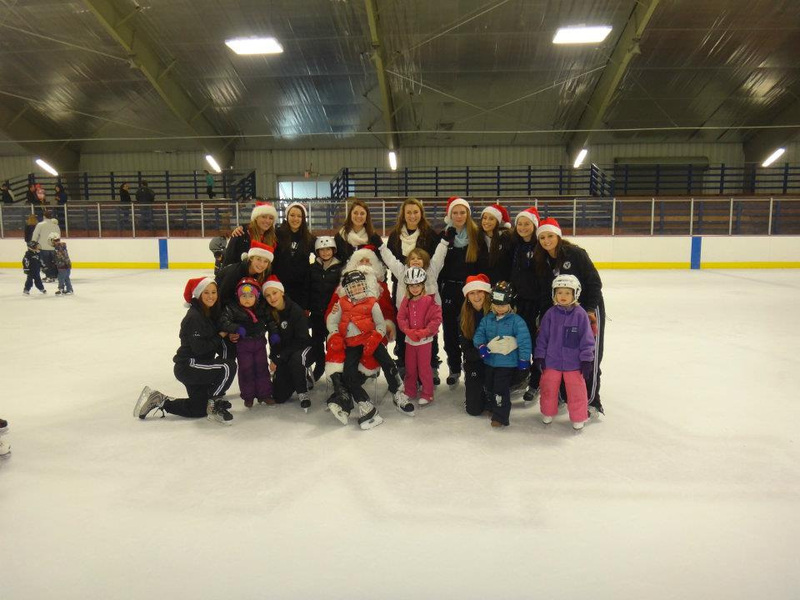 The money was donated through a team collection, and reflected the character of the kids that are a part of this program.